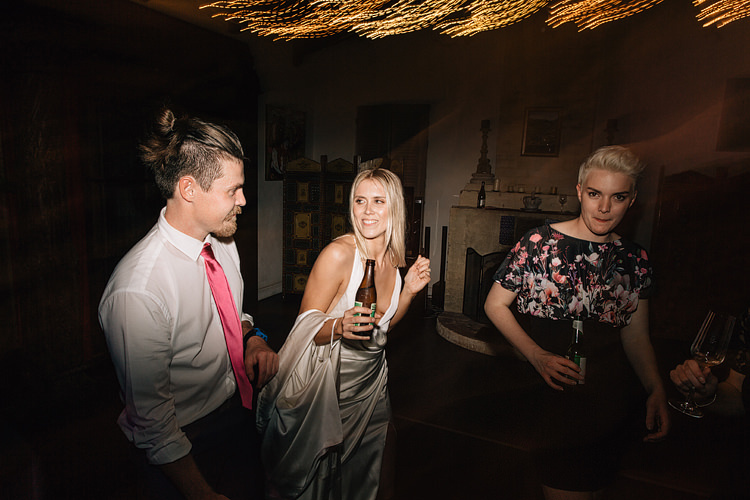 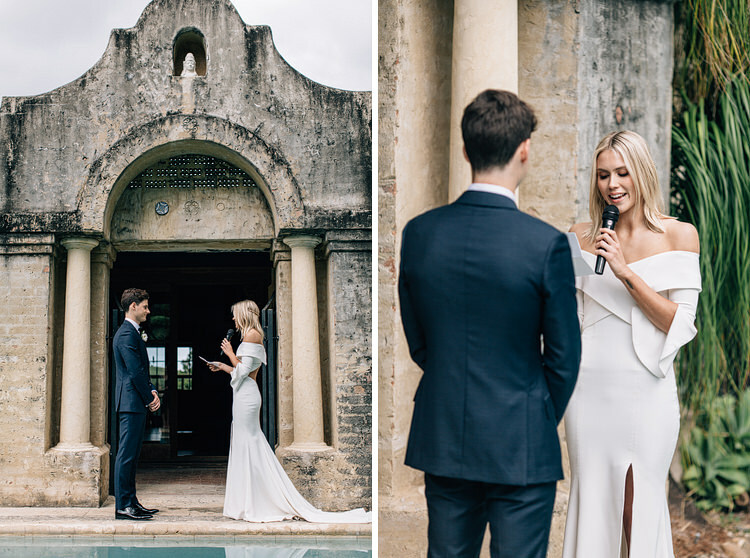 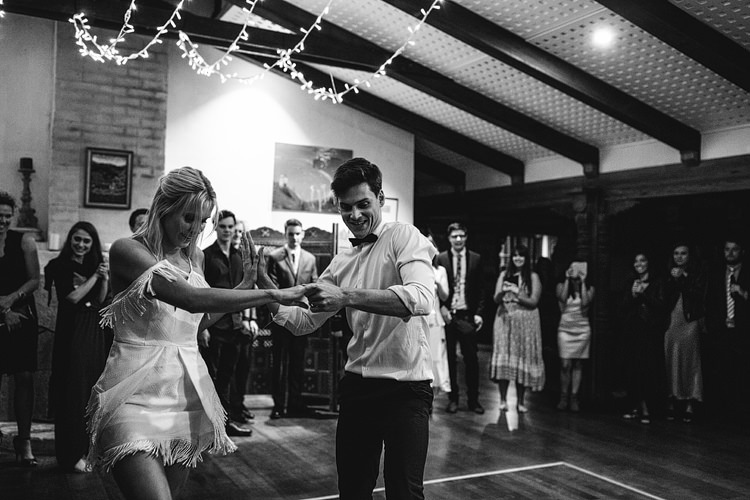 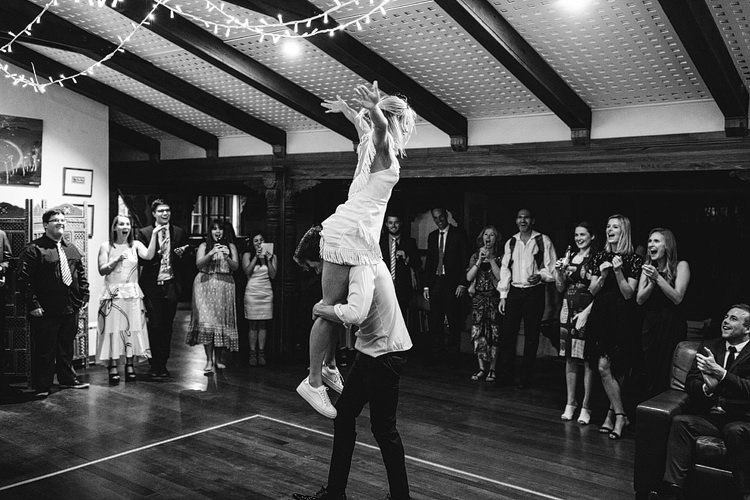 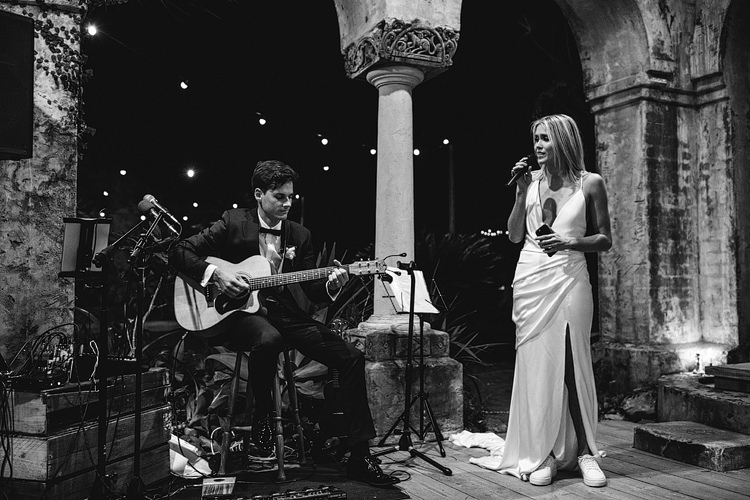 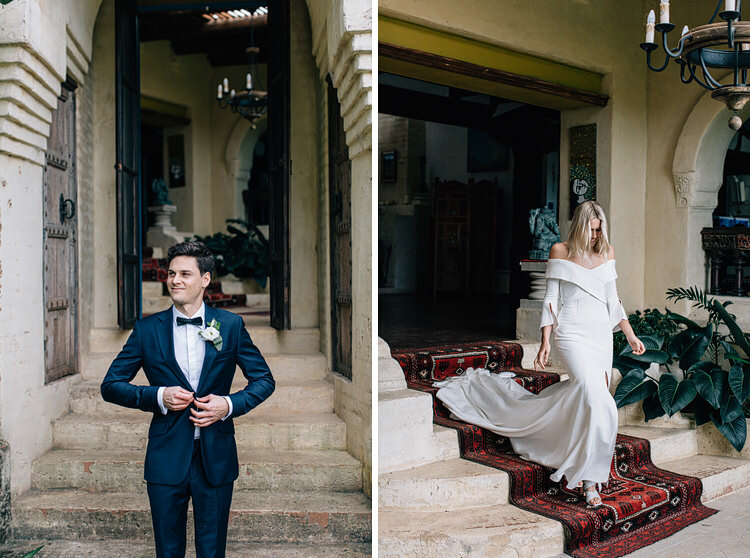 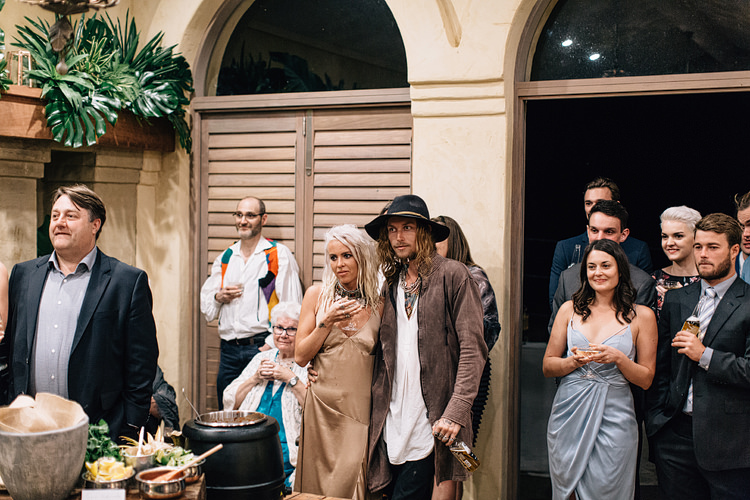 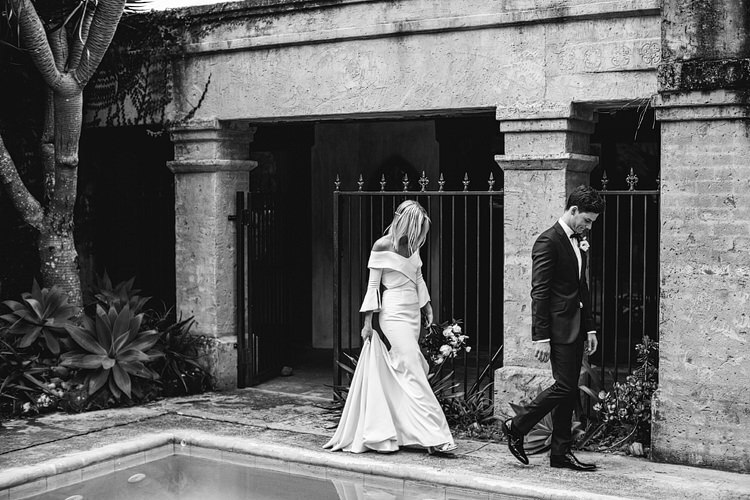 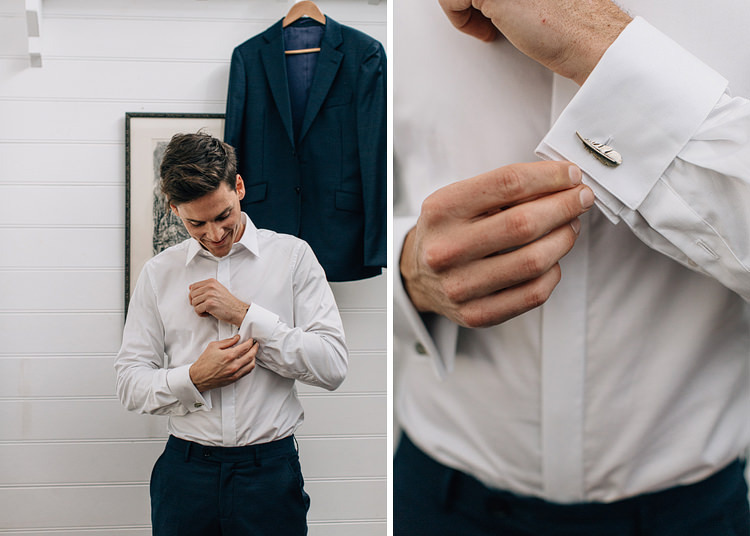 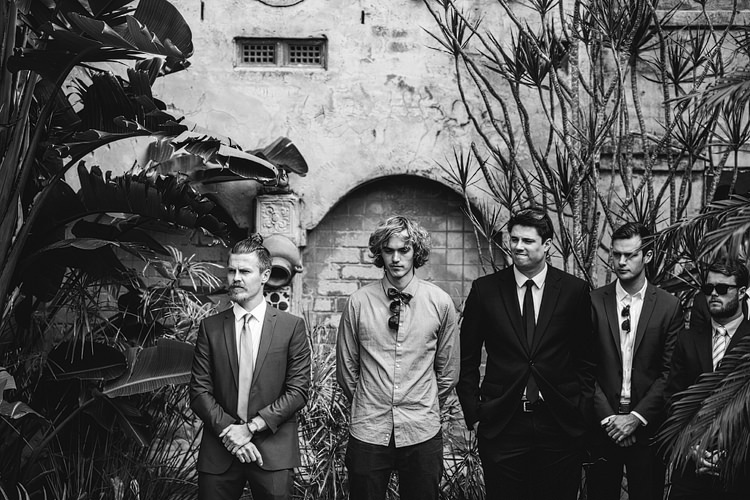 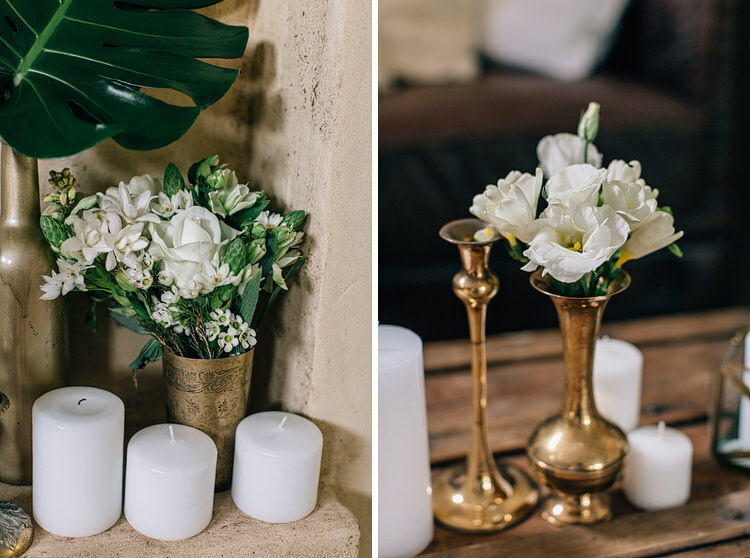 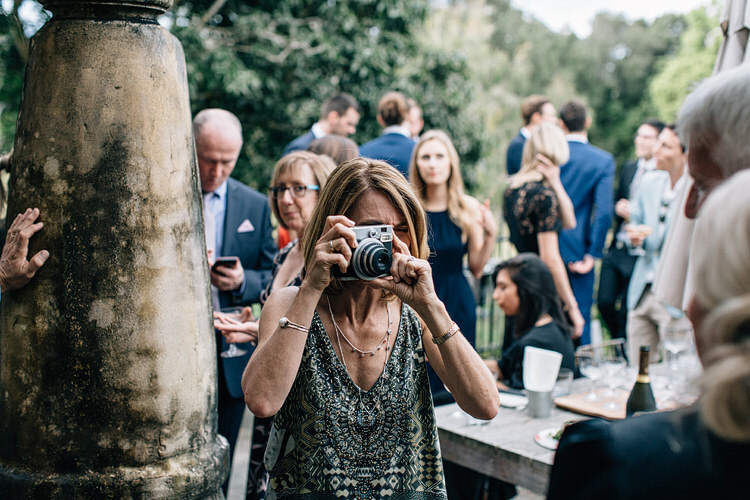 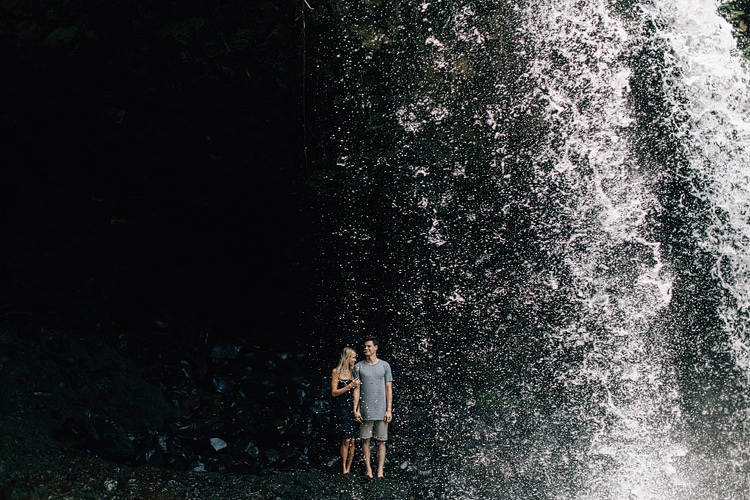 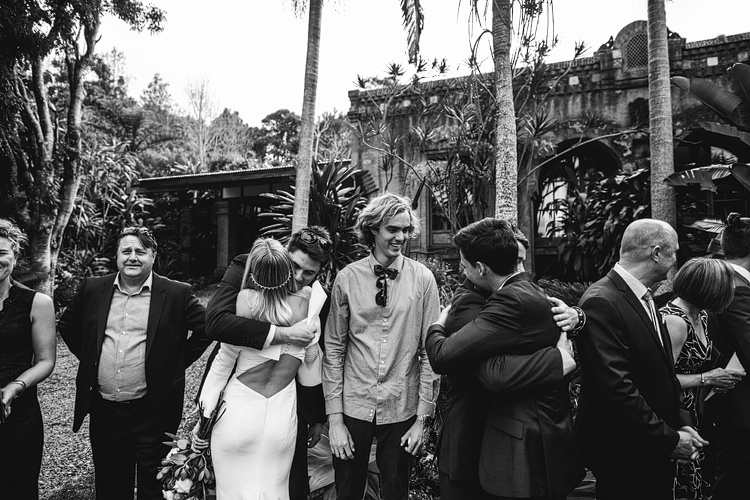 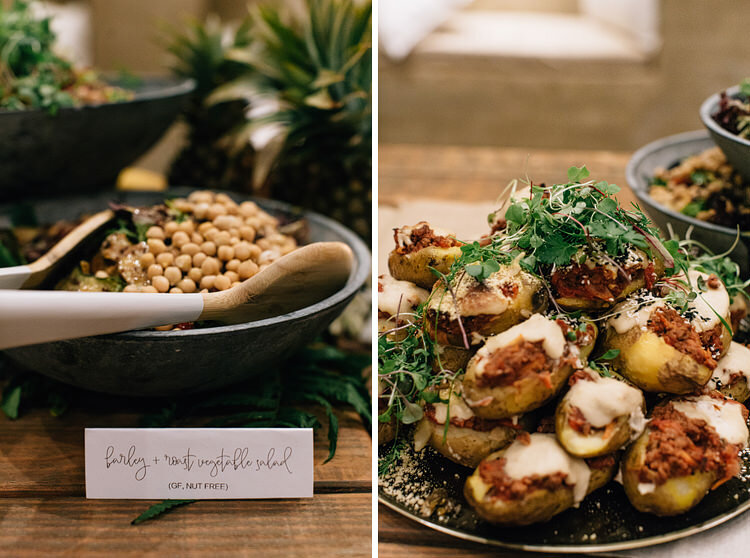 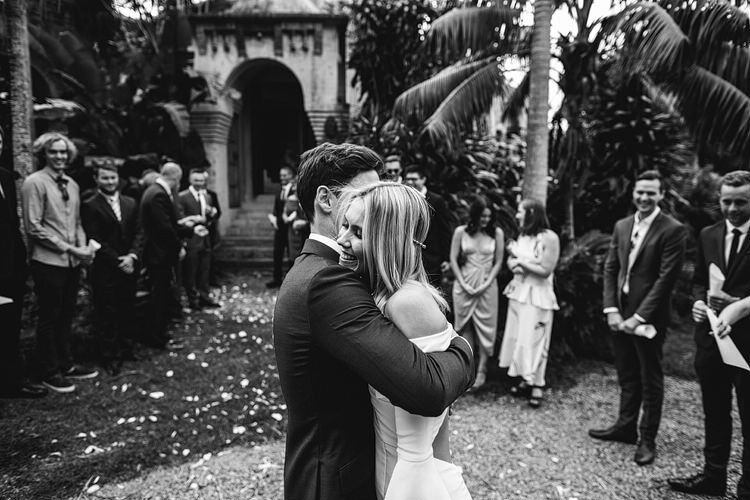 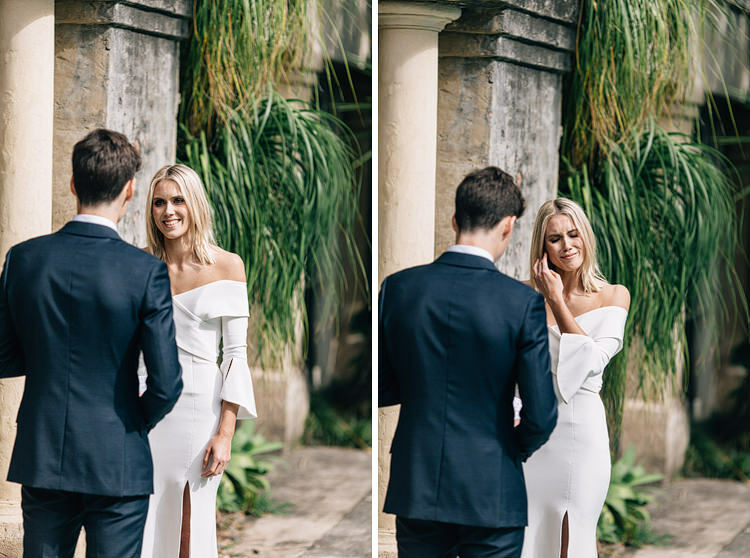 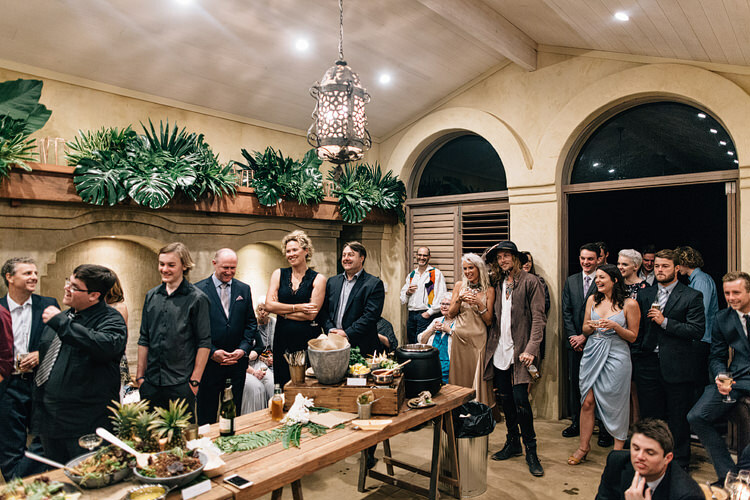 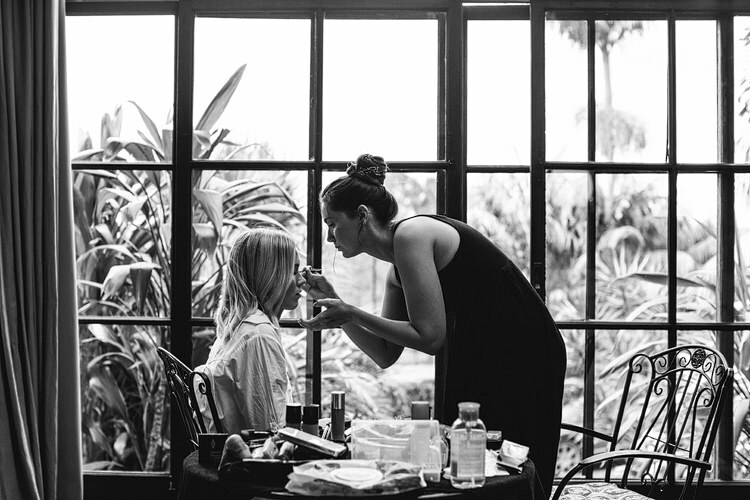 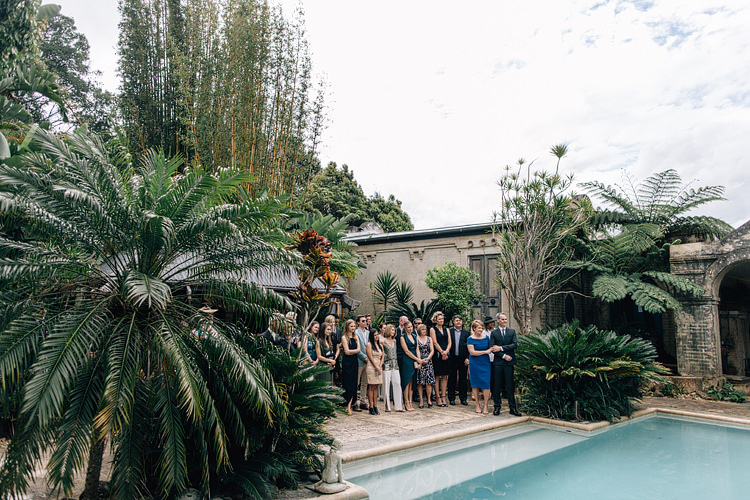 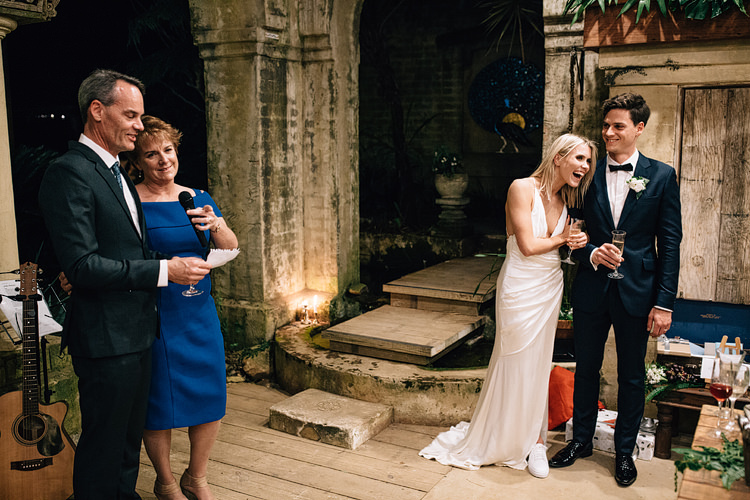 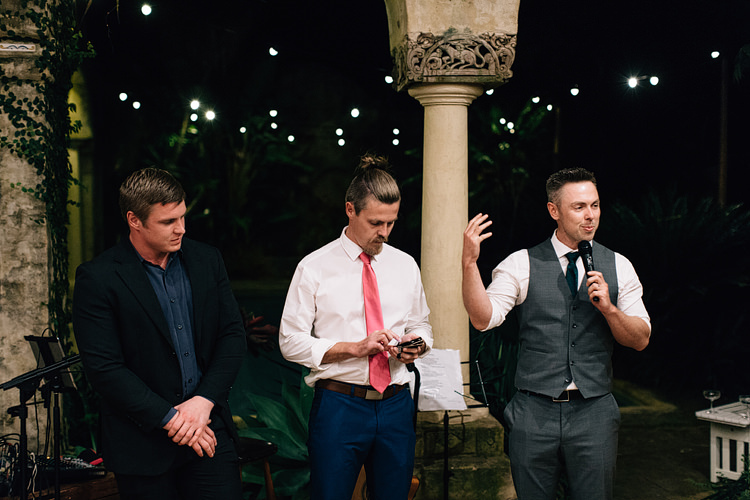 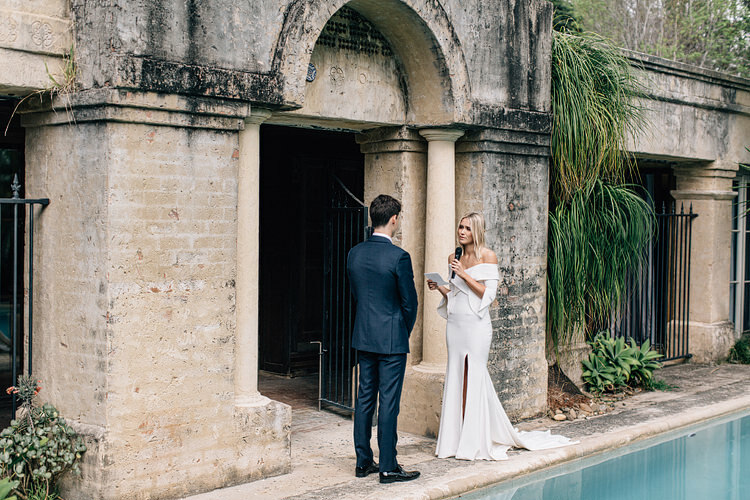 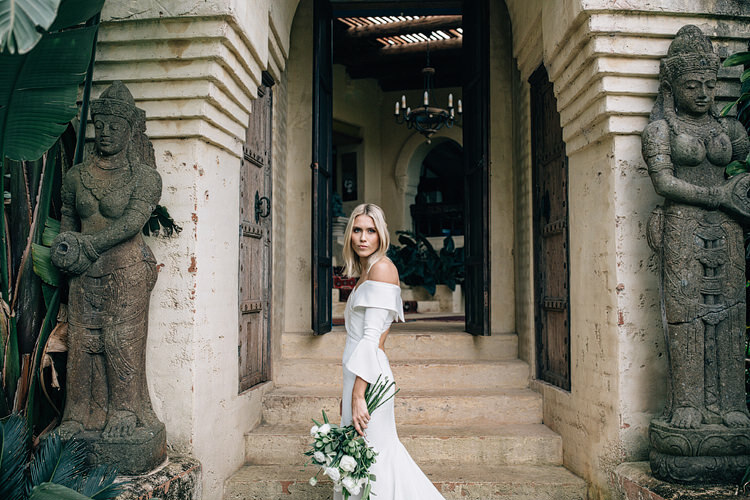 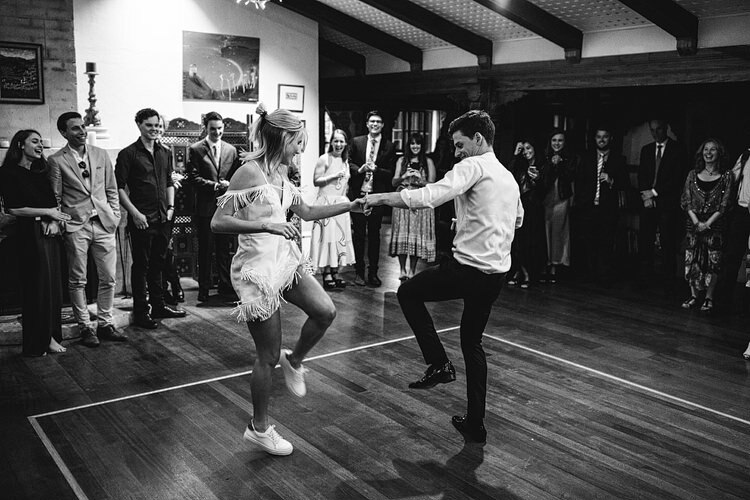 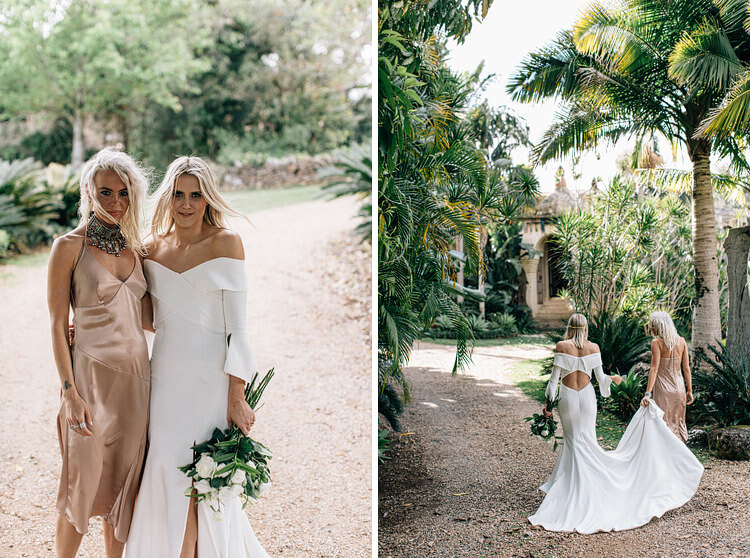 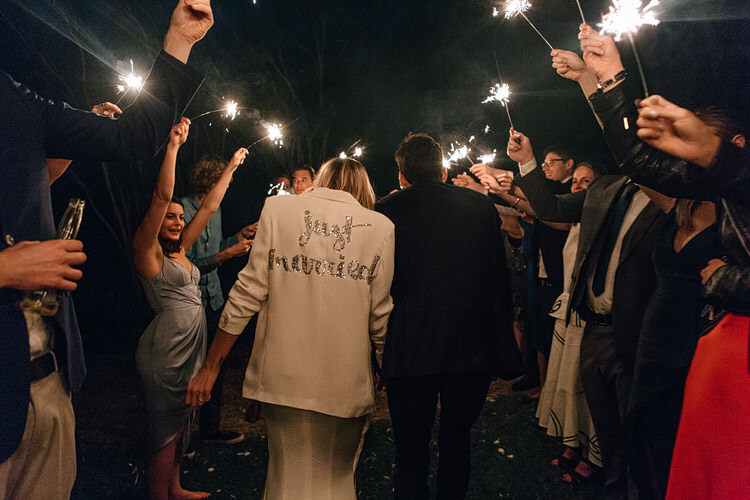 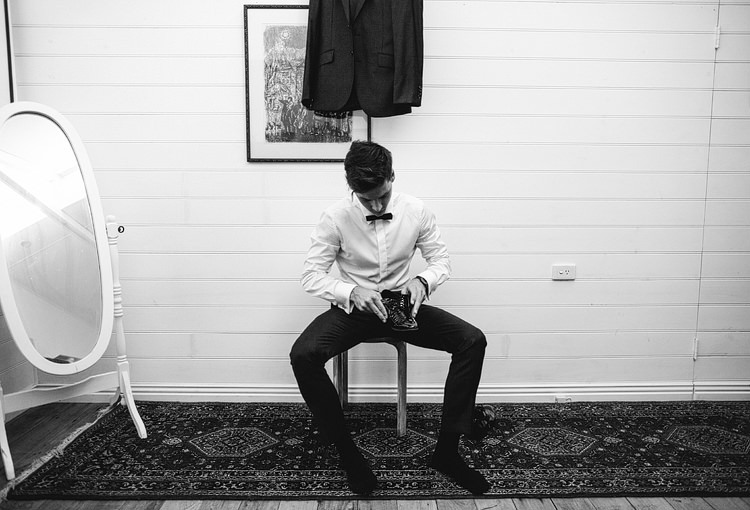 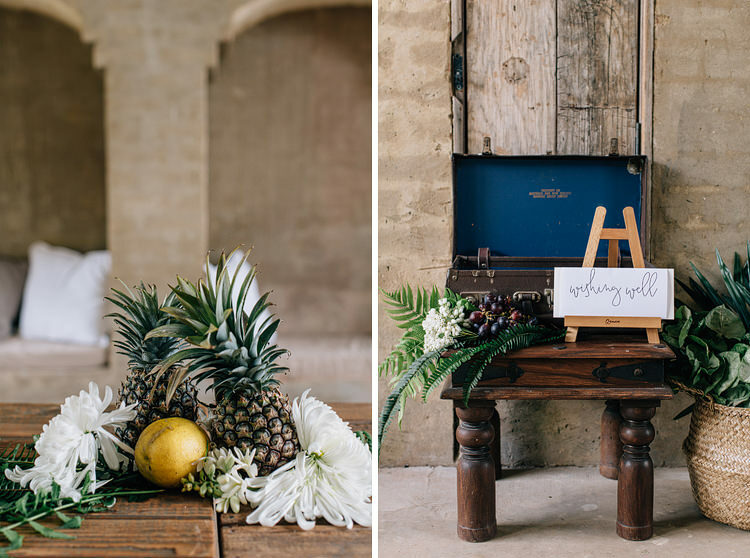 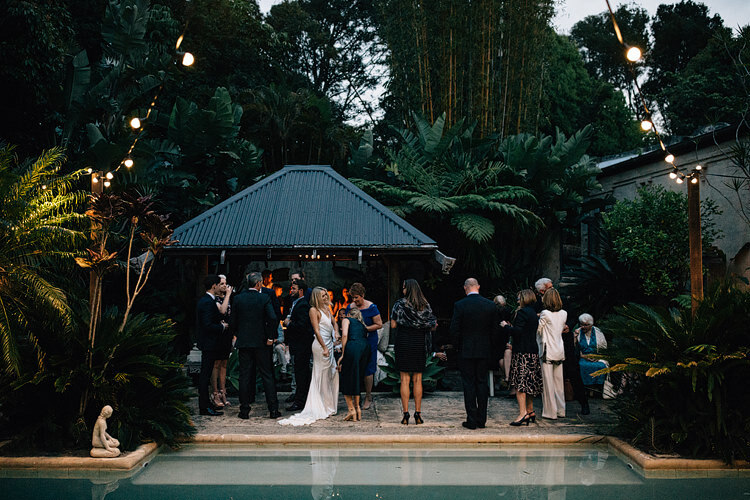 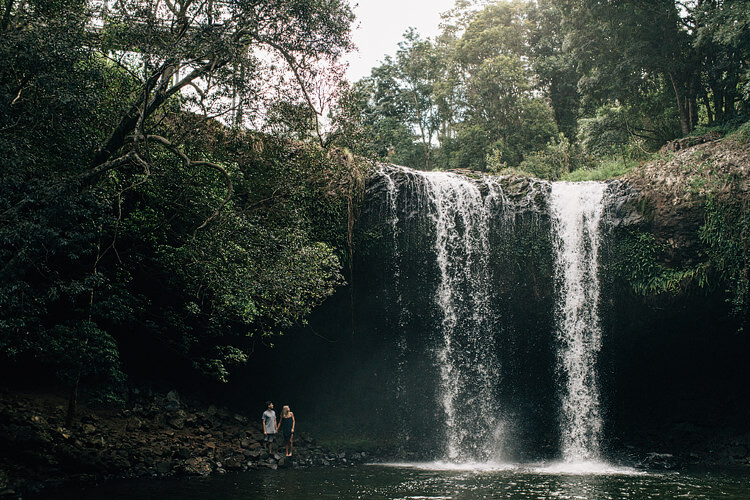 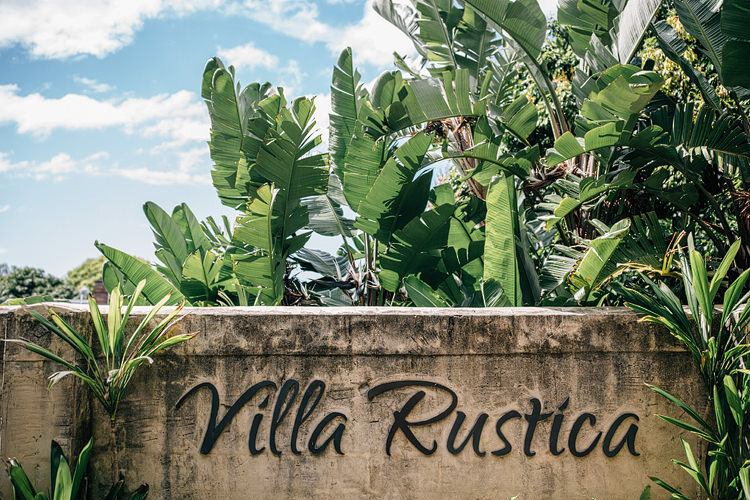 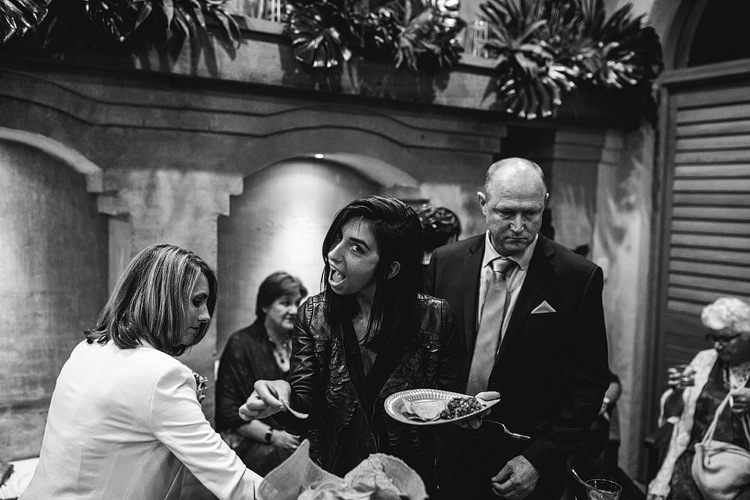 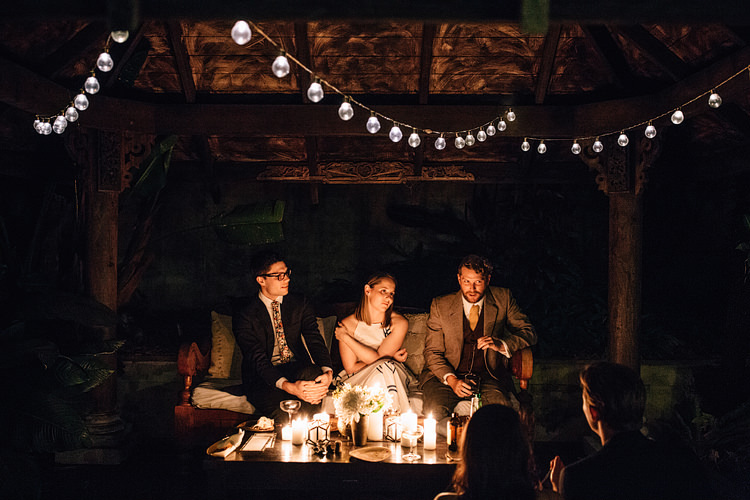 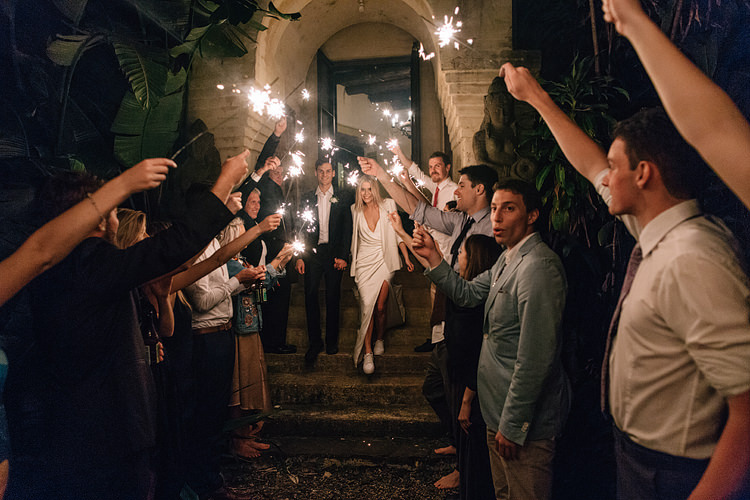 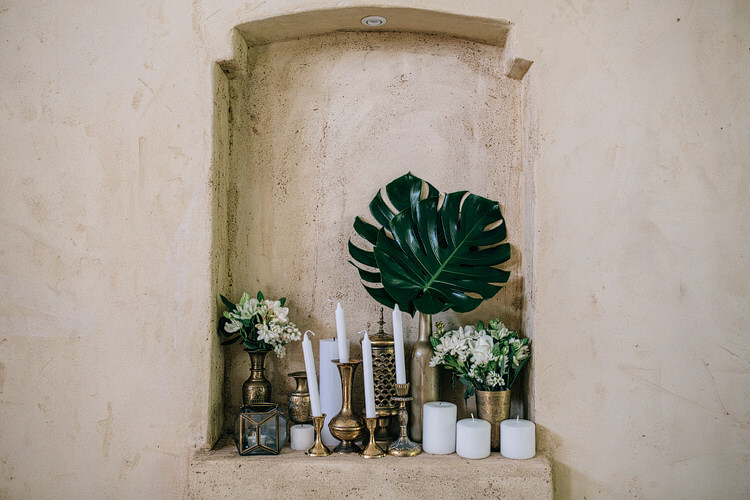 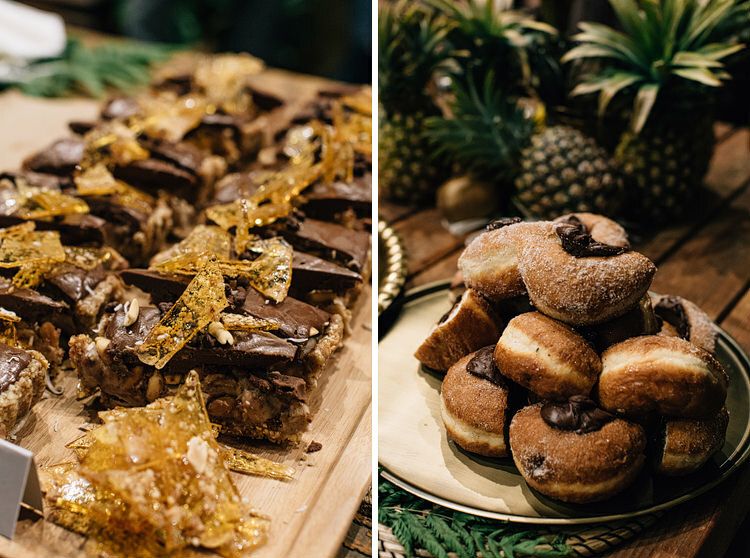 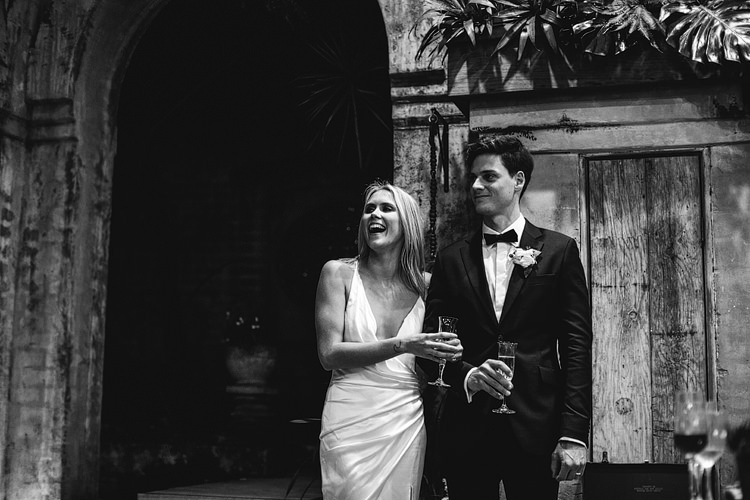 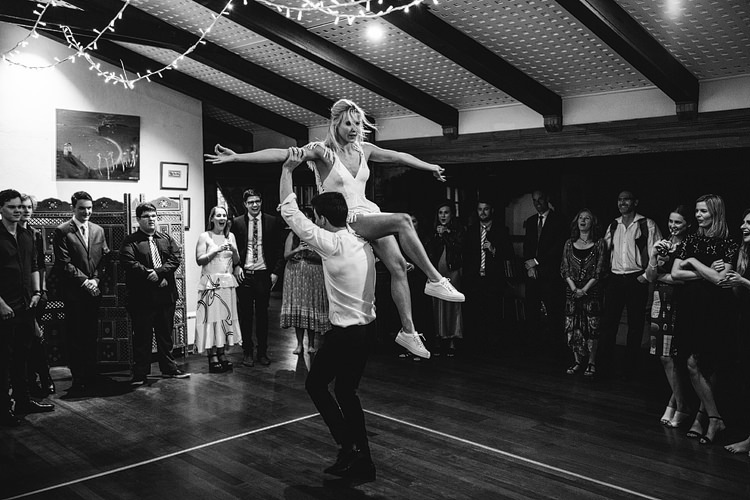 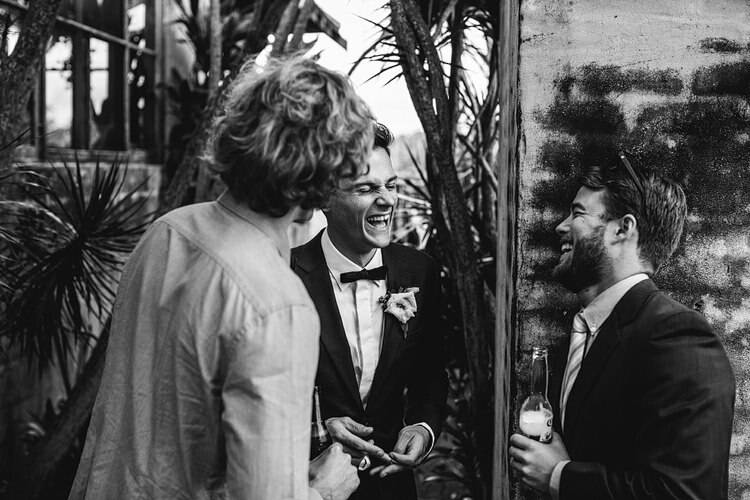 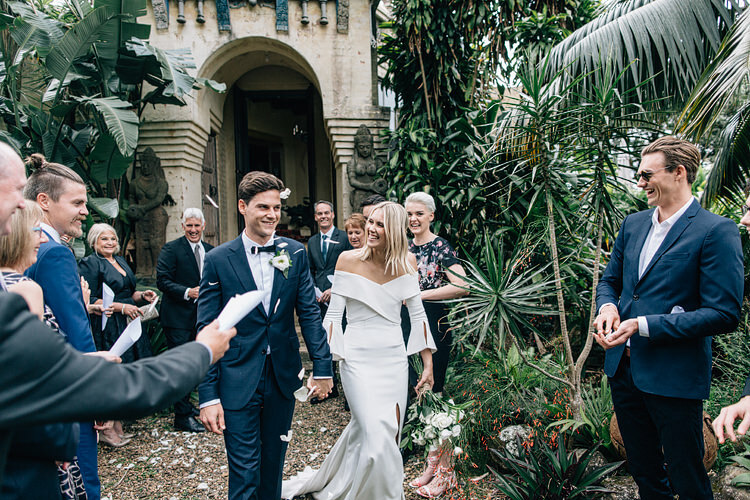 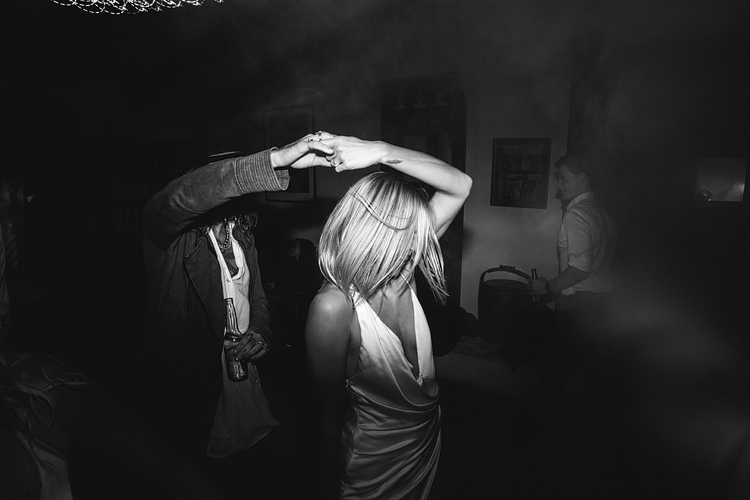 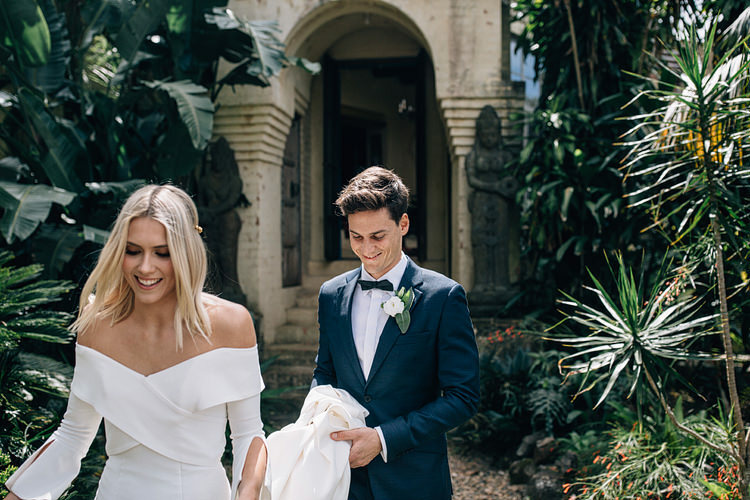 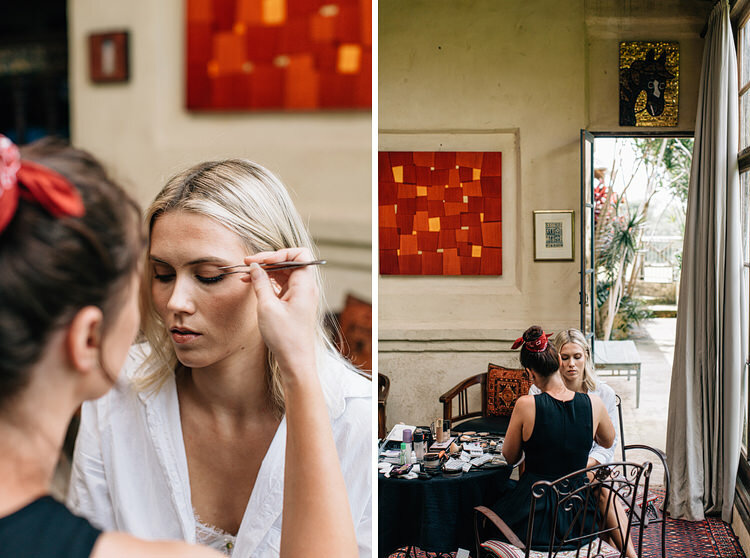 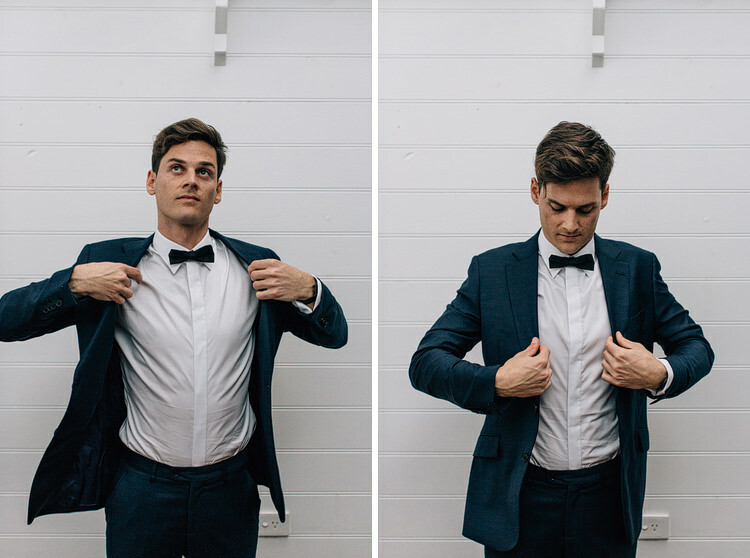 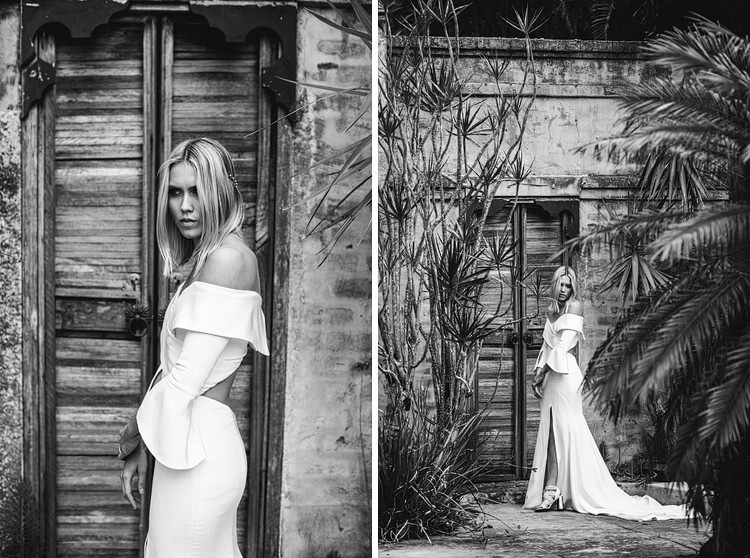 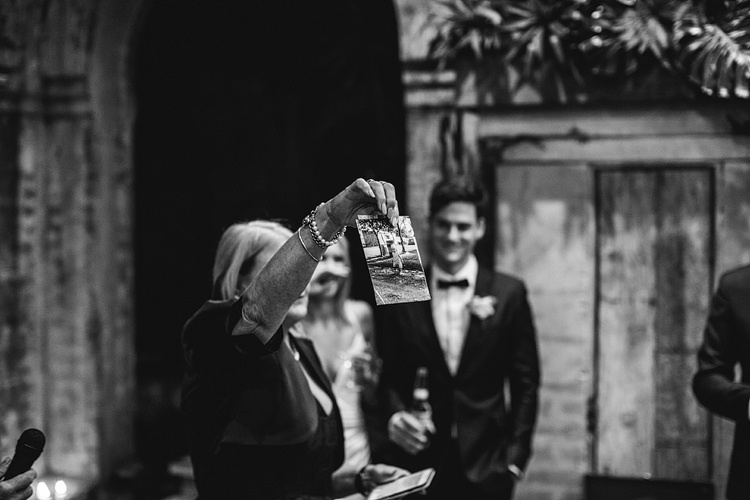 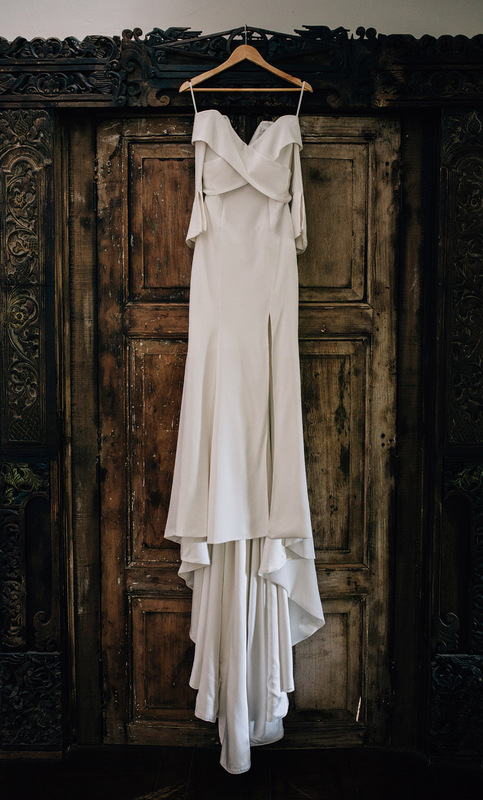 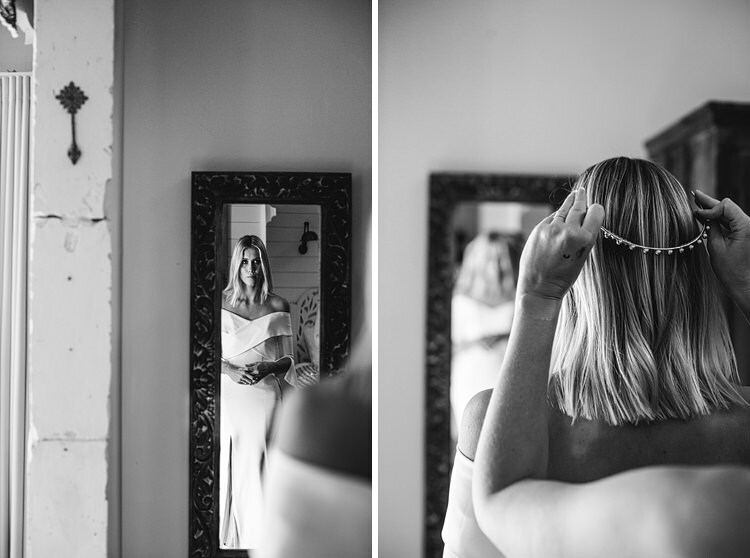 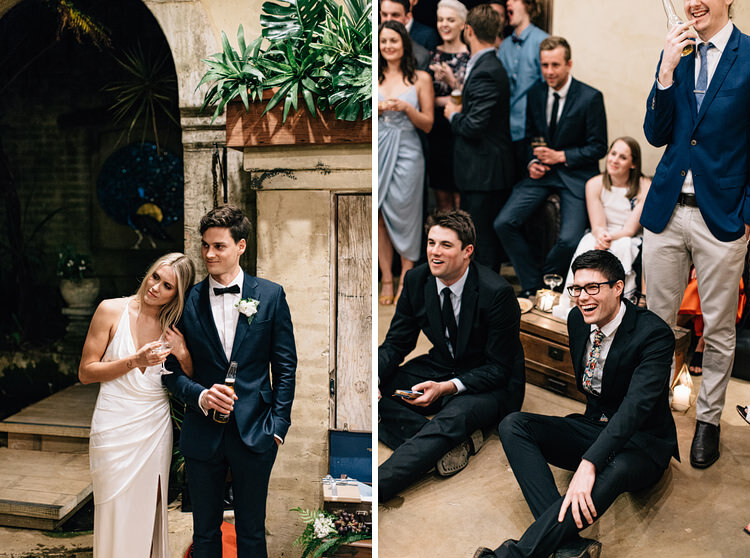 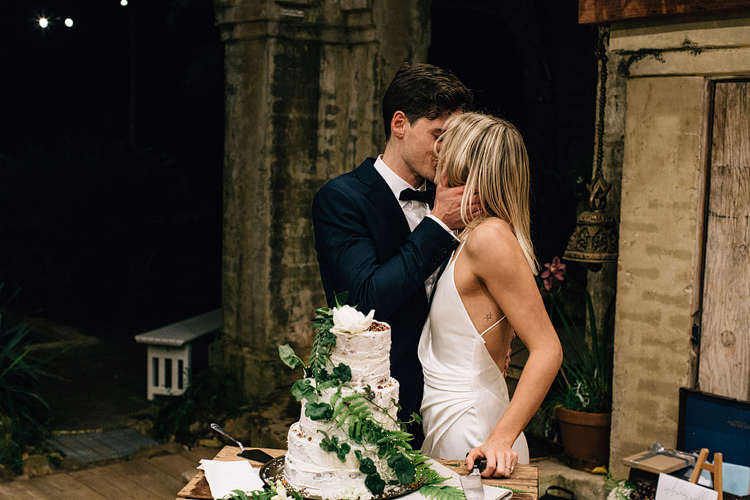 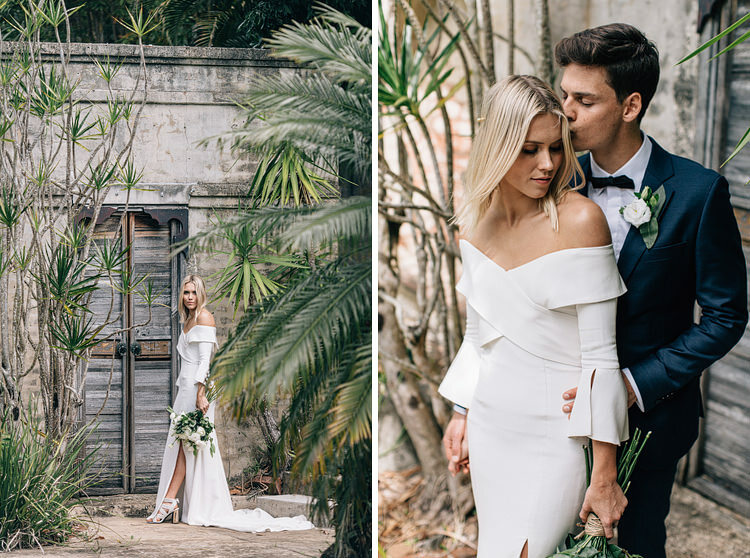 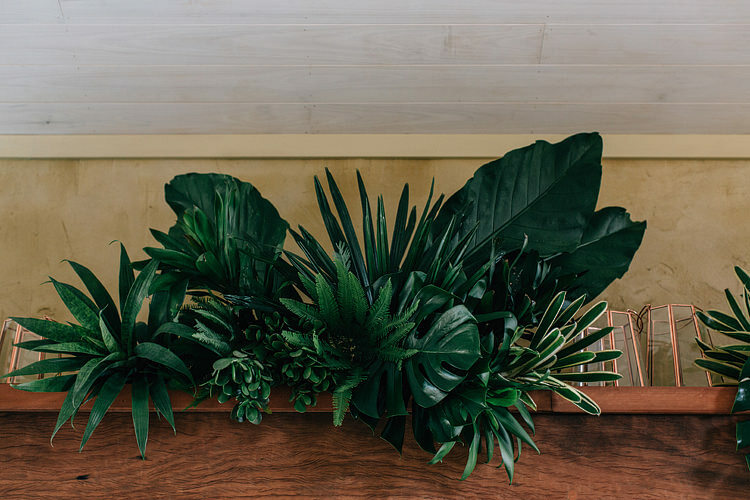 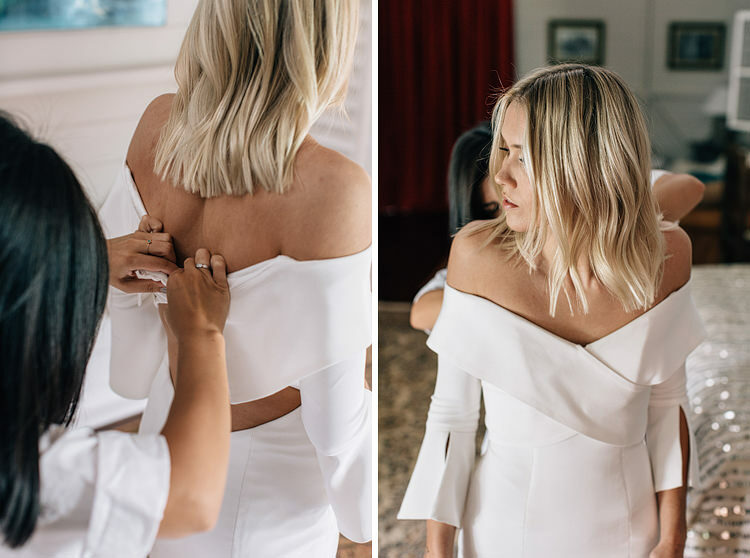 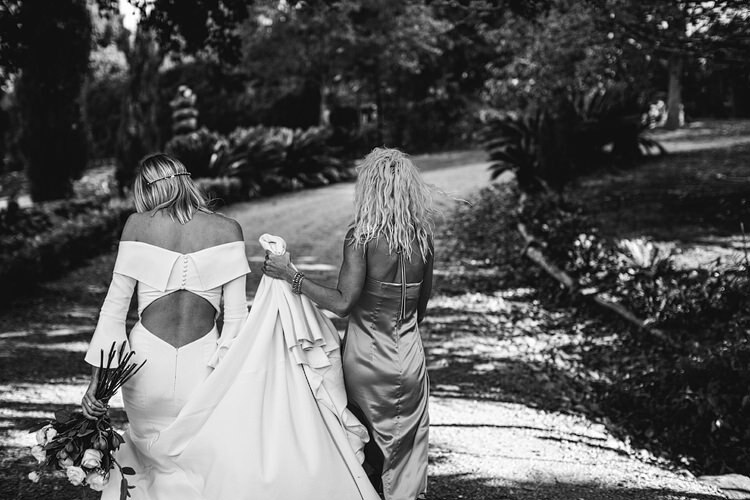 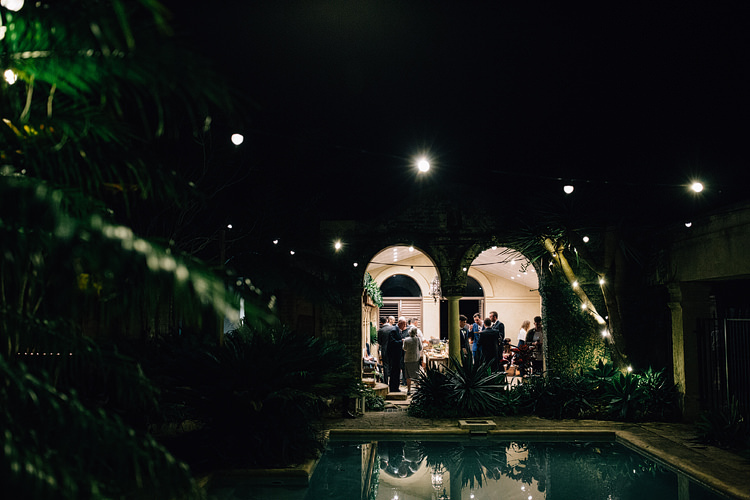 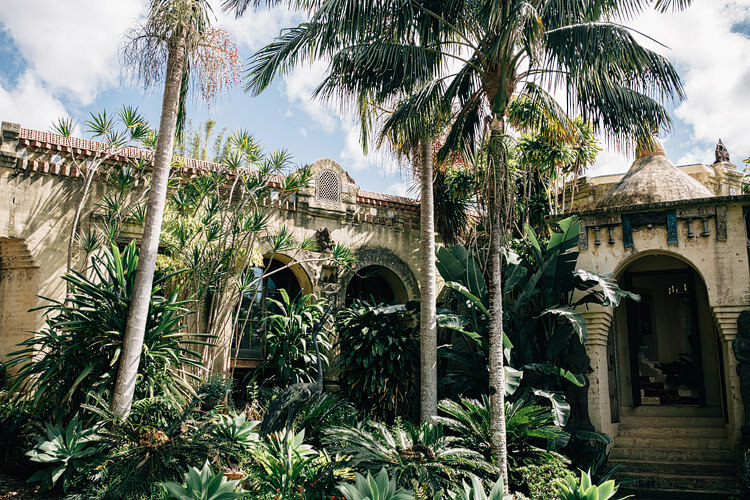 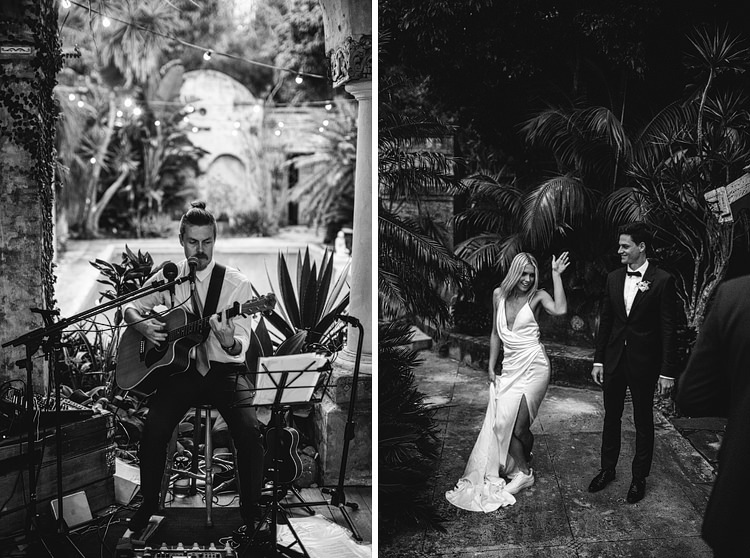 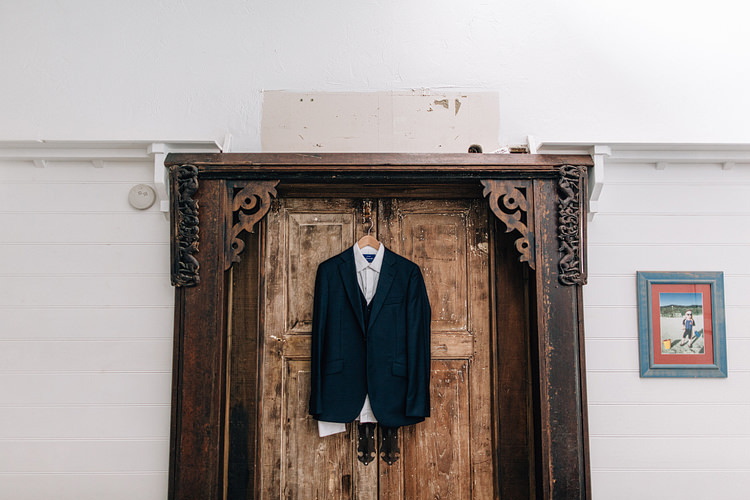 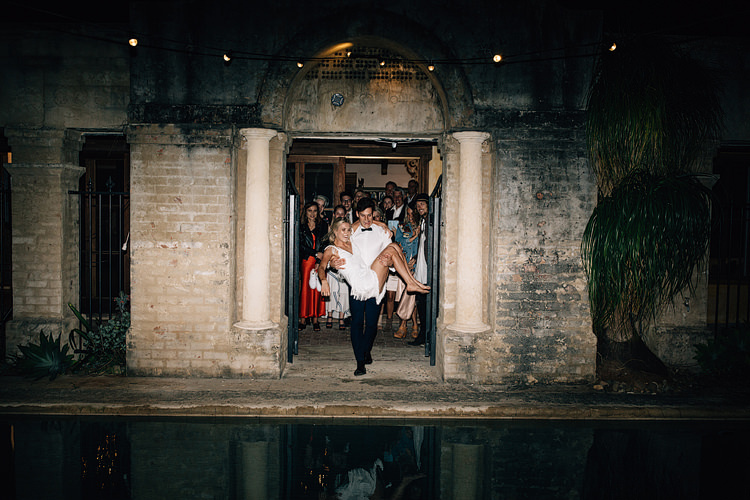 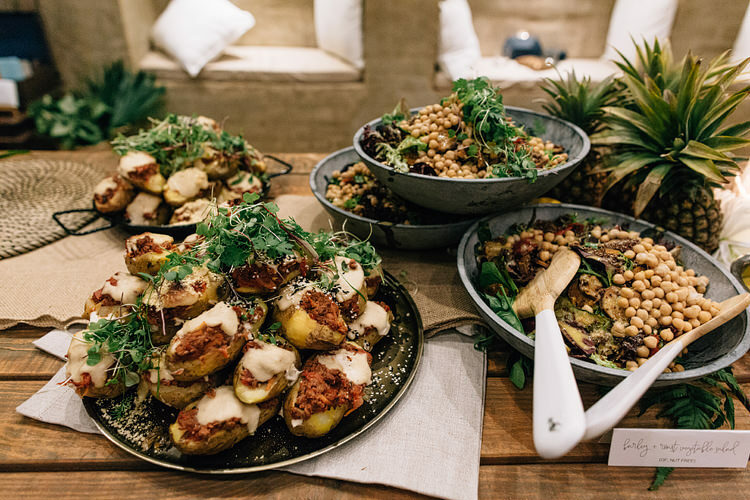 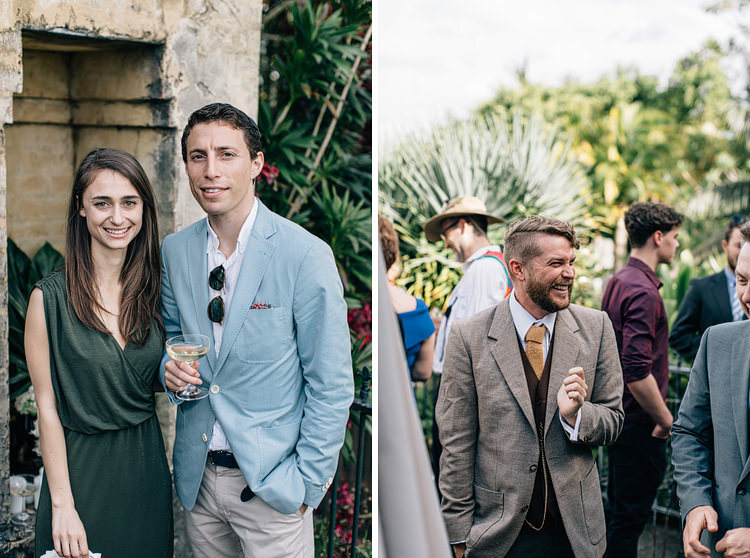 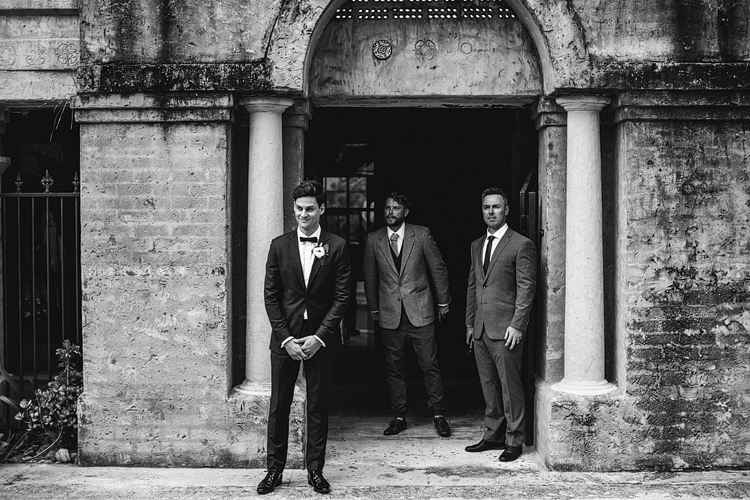 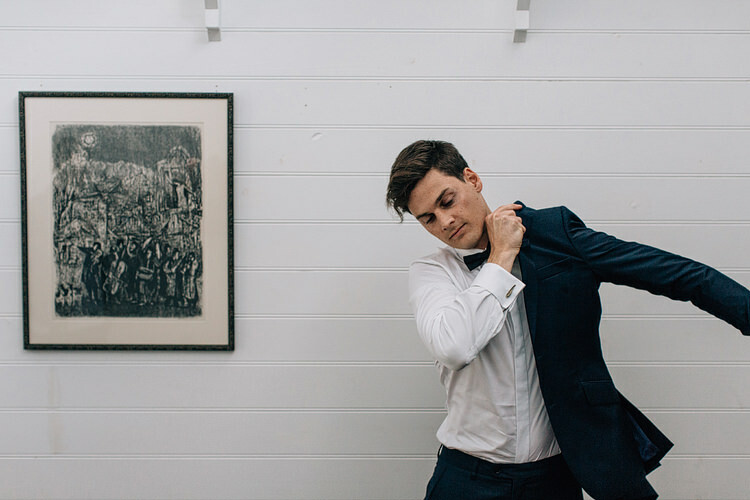 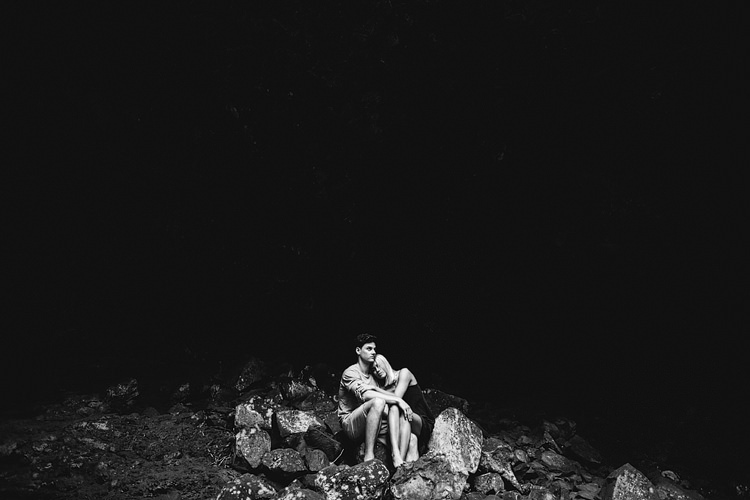 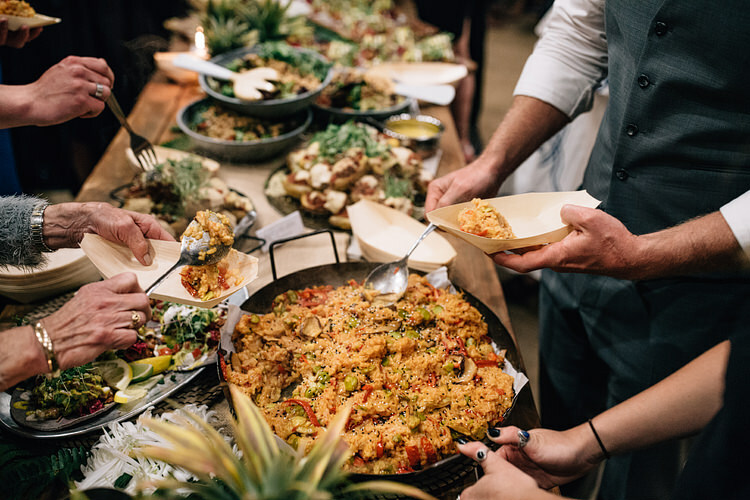 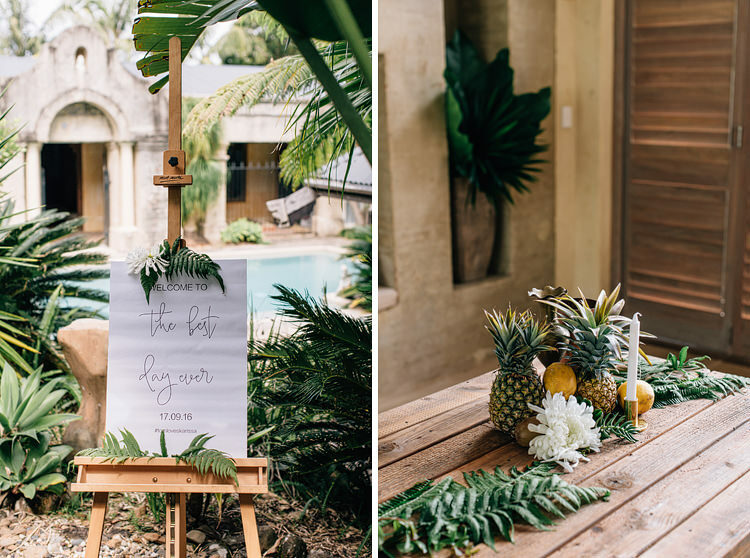 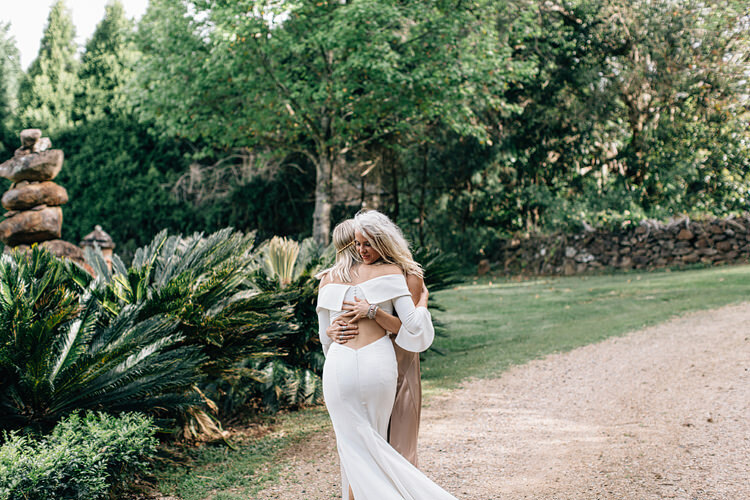 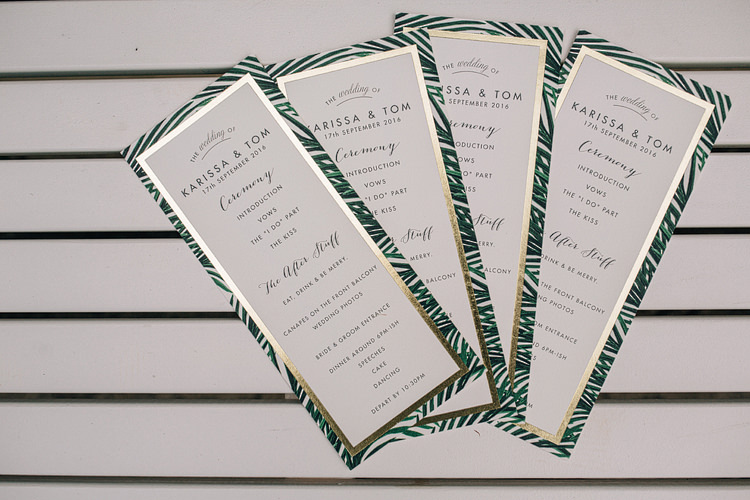 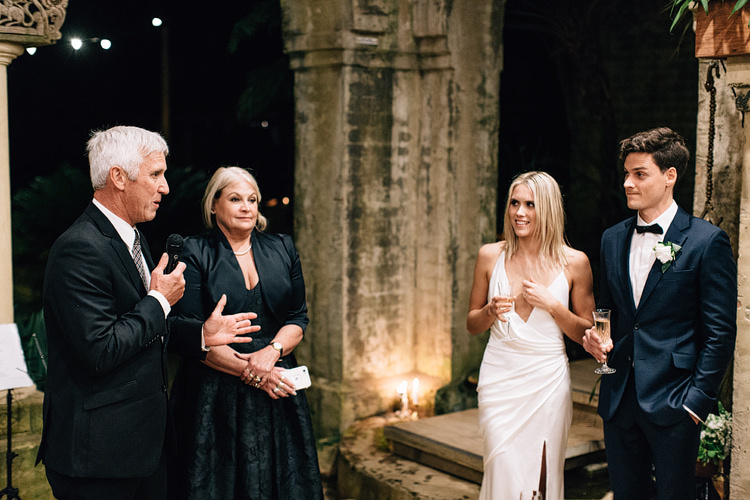 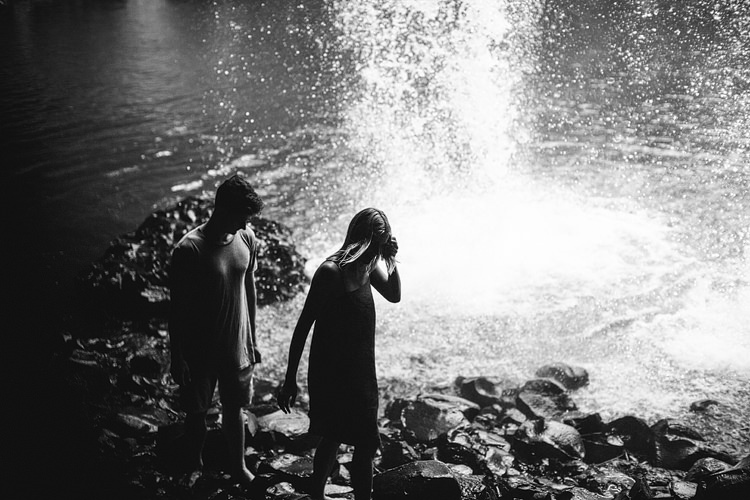 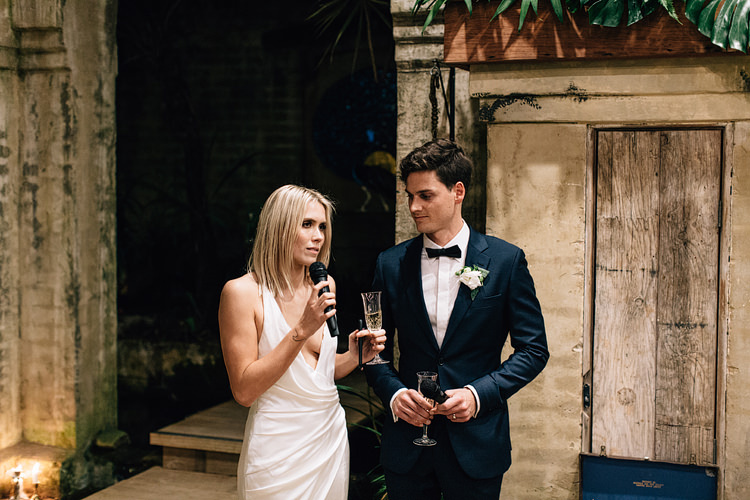 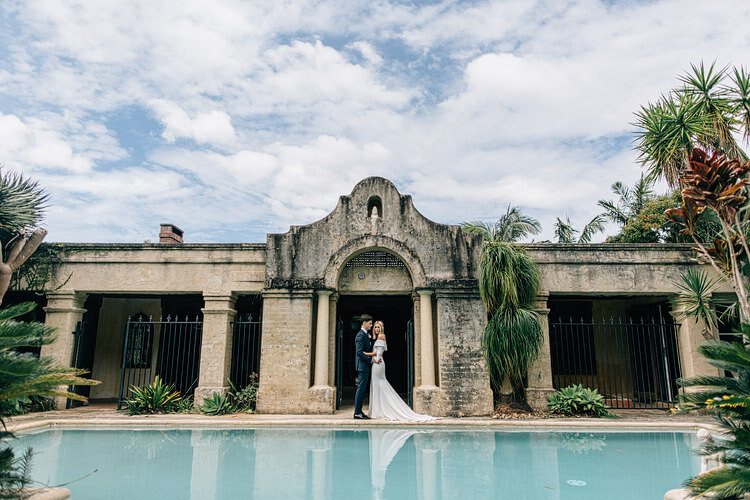 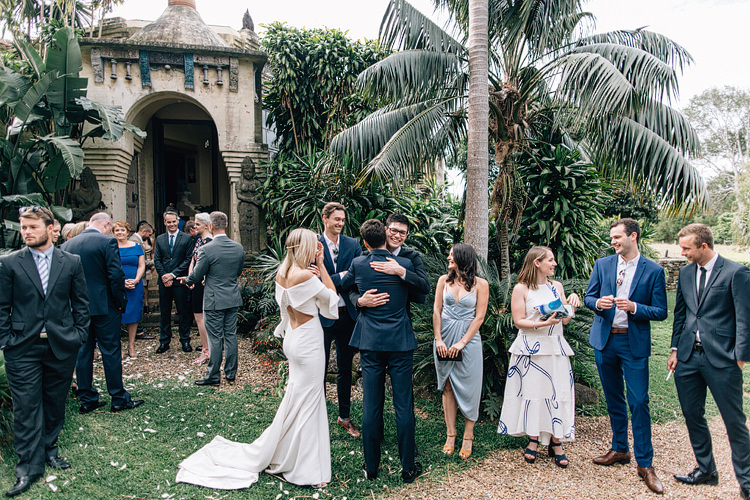 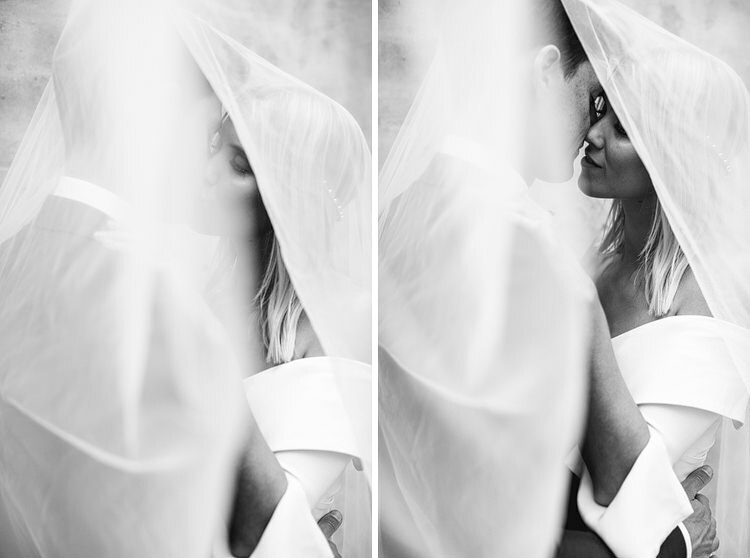 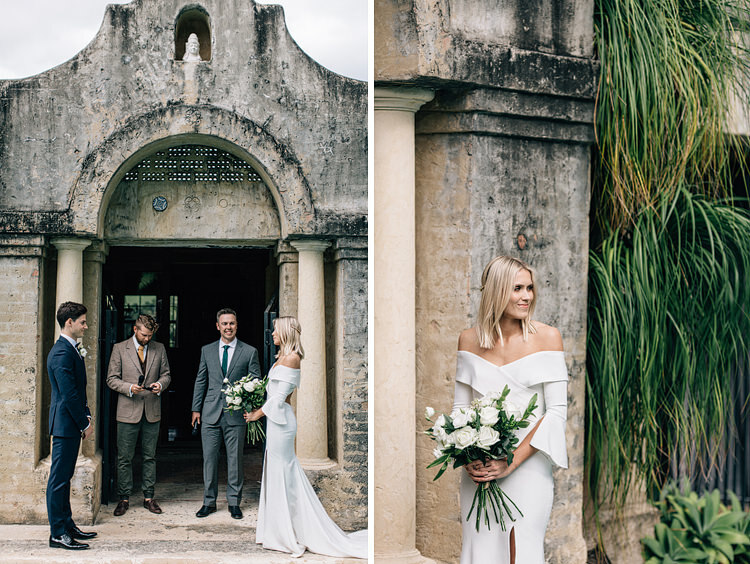 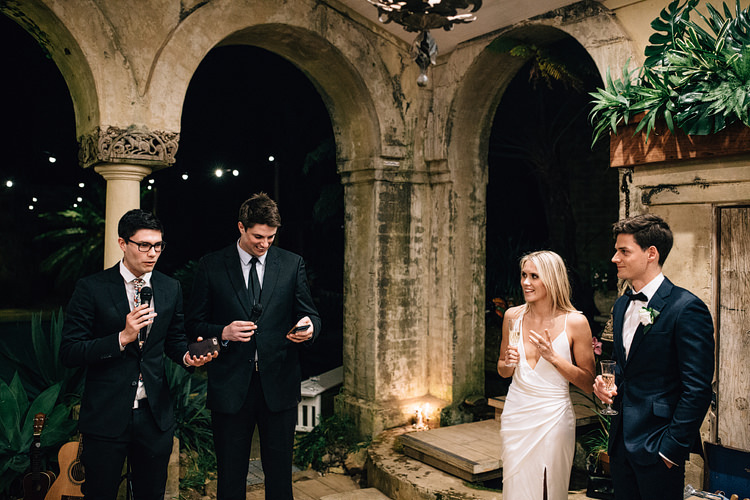 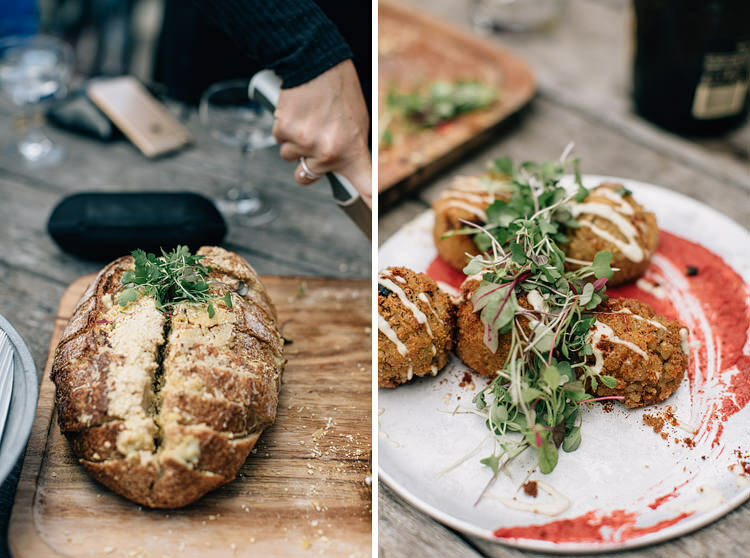 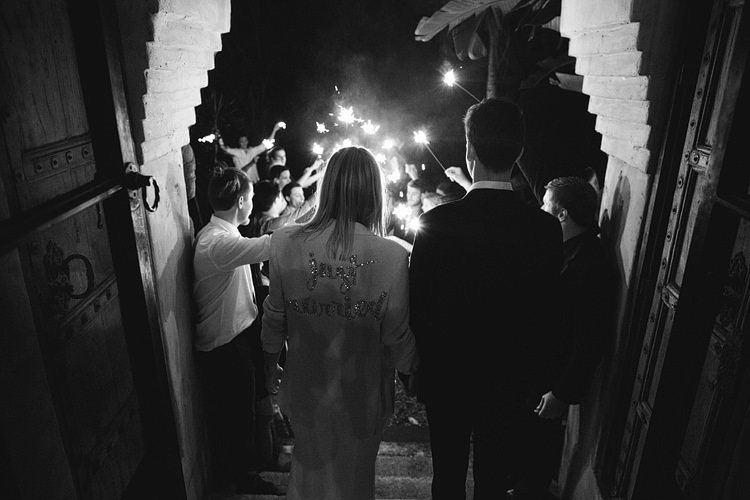 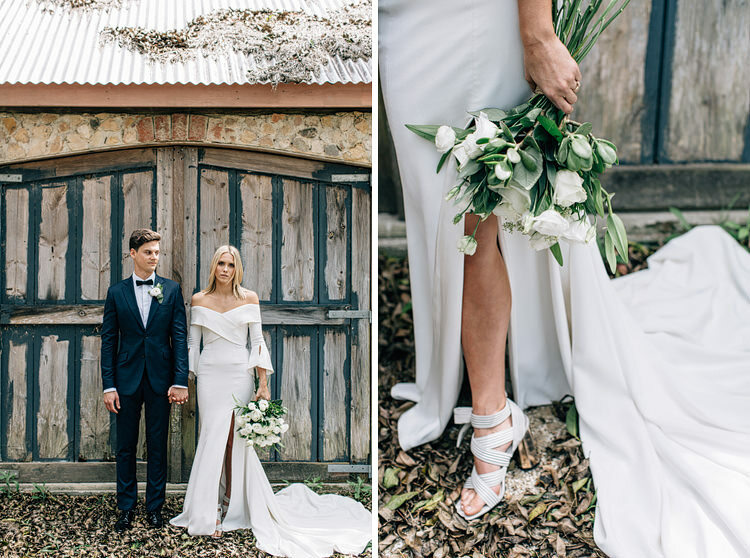 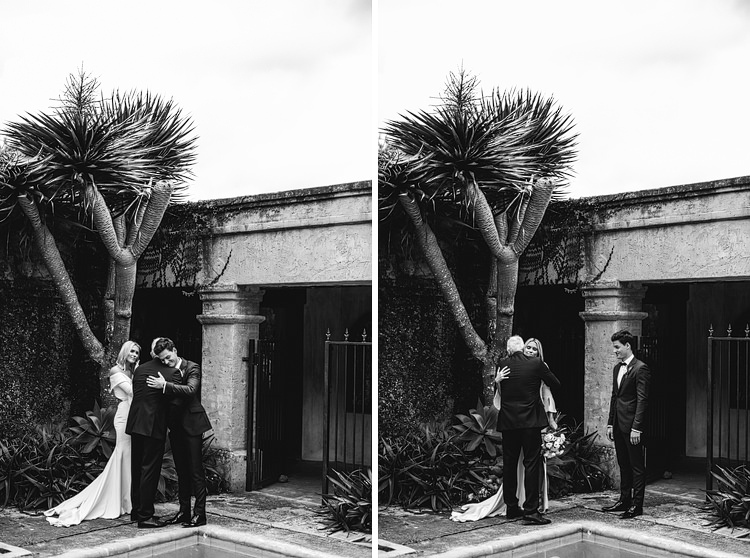 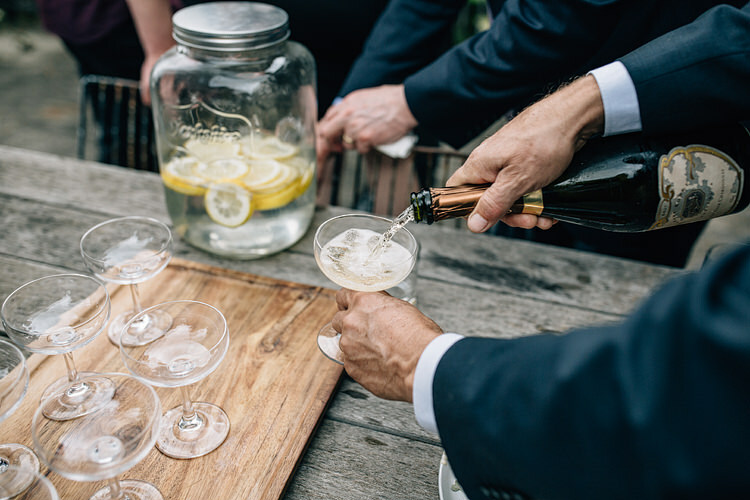 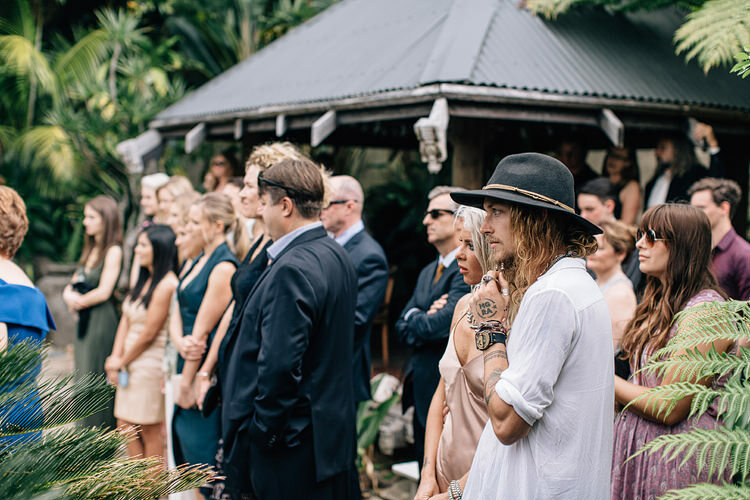 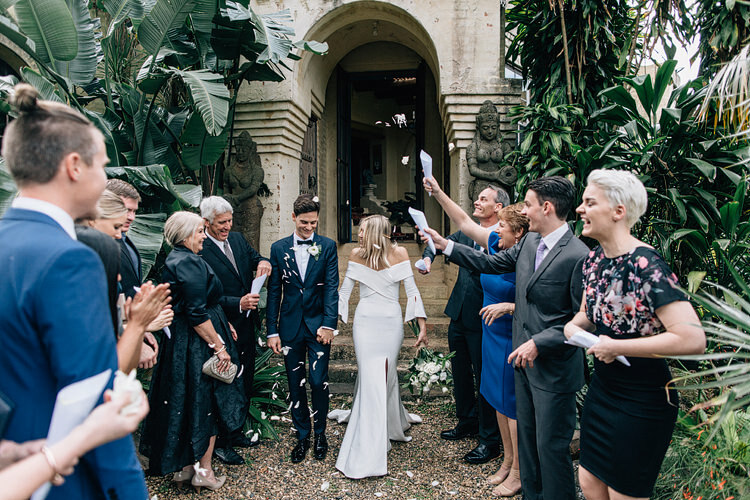 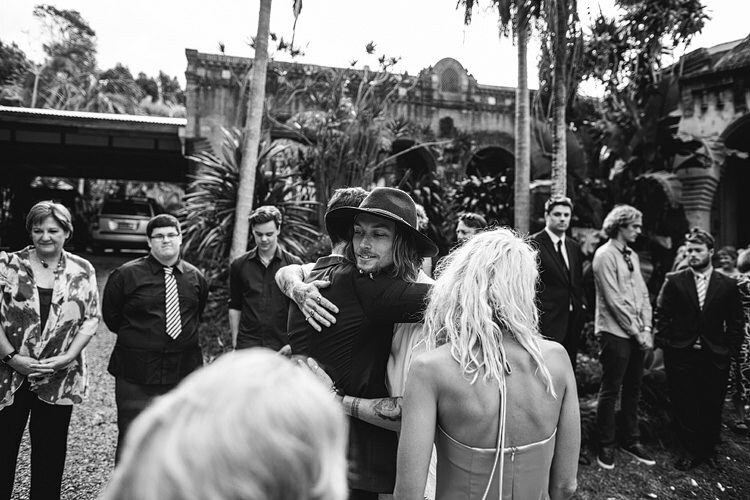 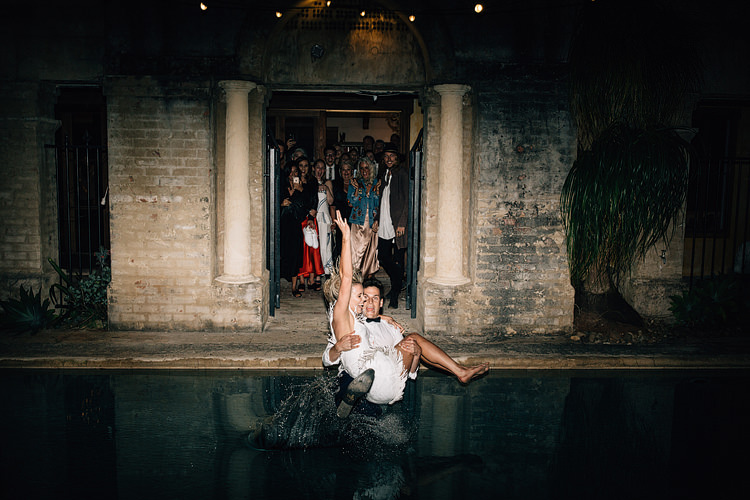 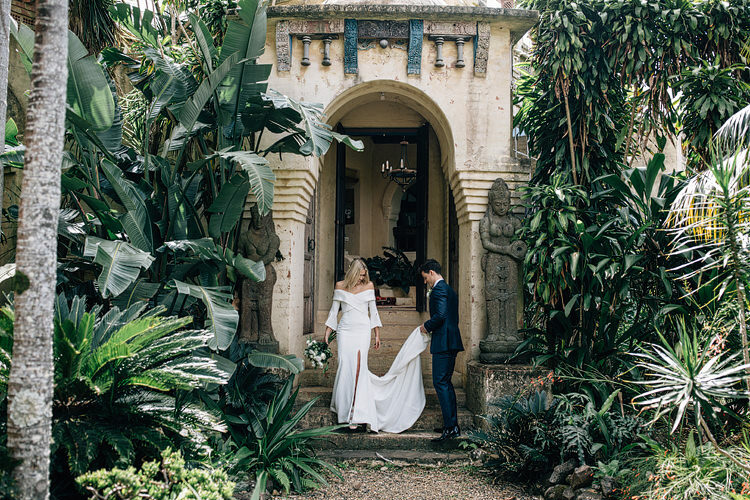 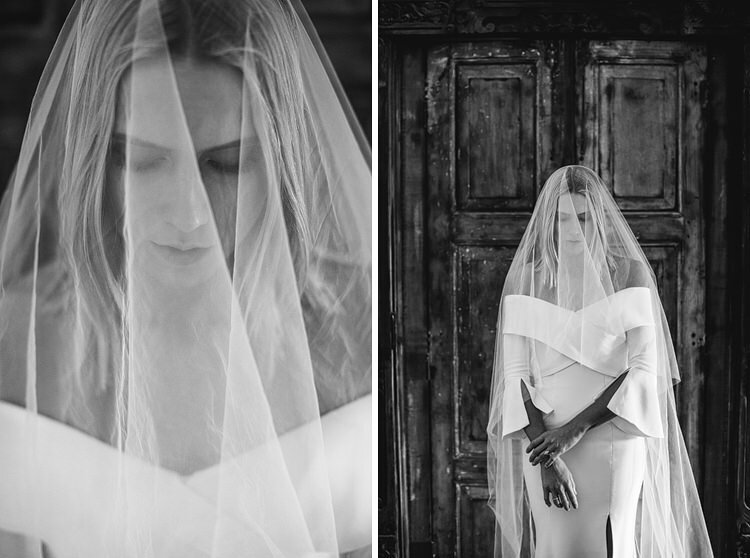 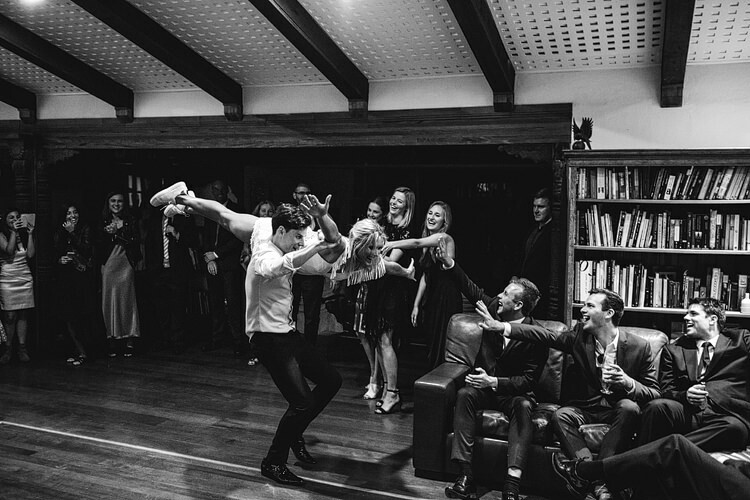 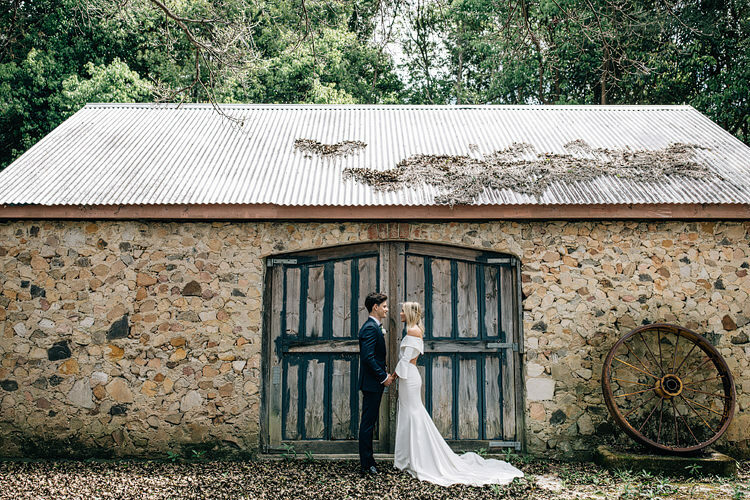 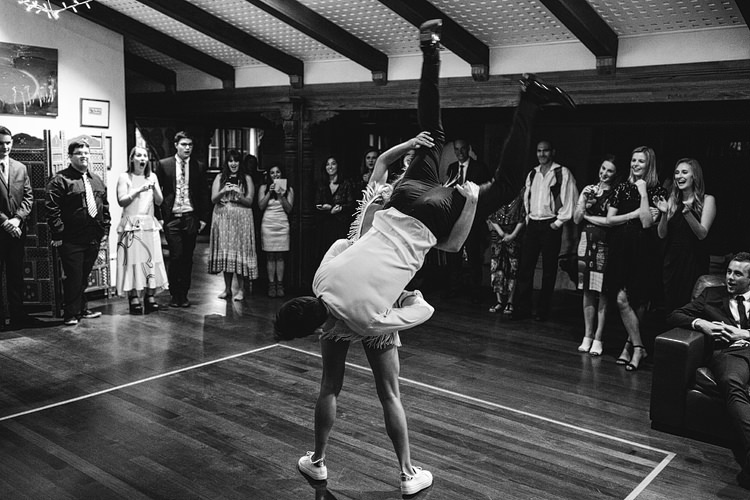 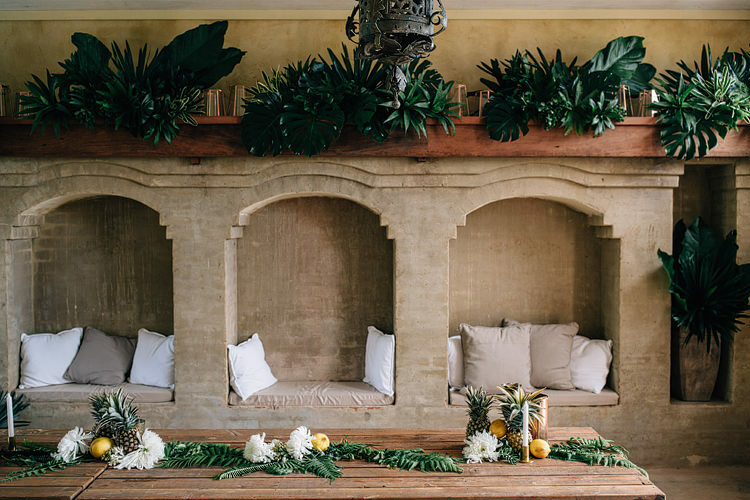 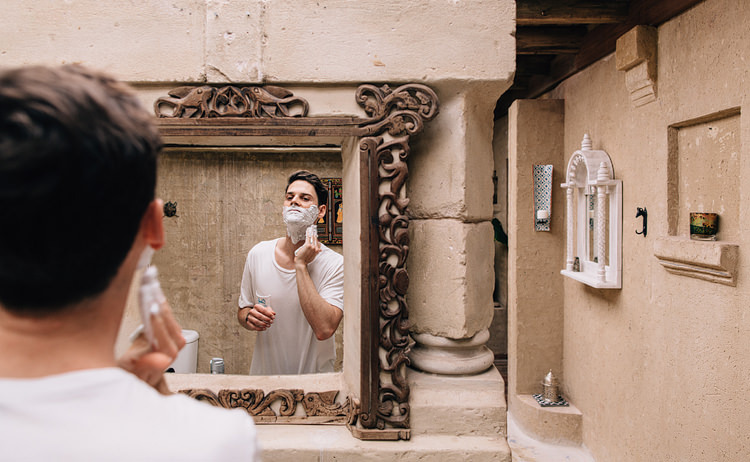 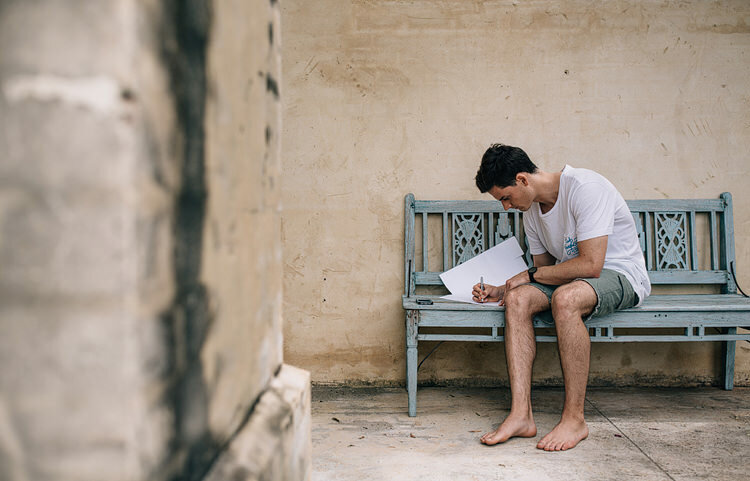 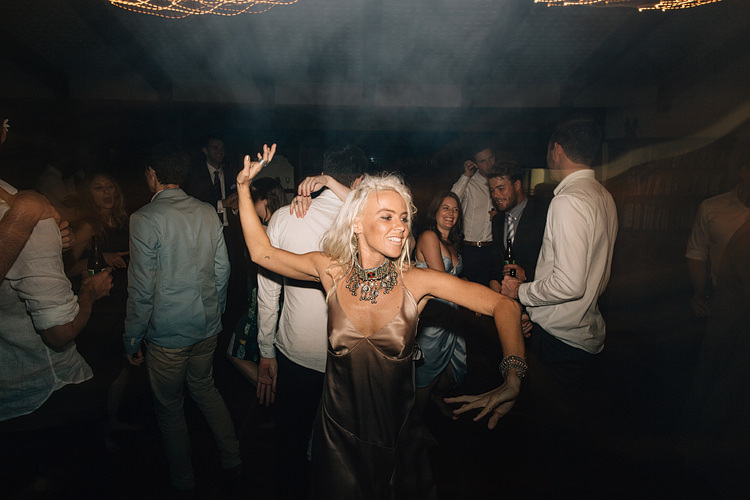 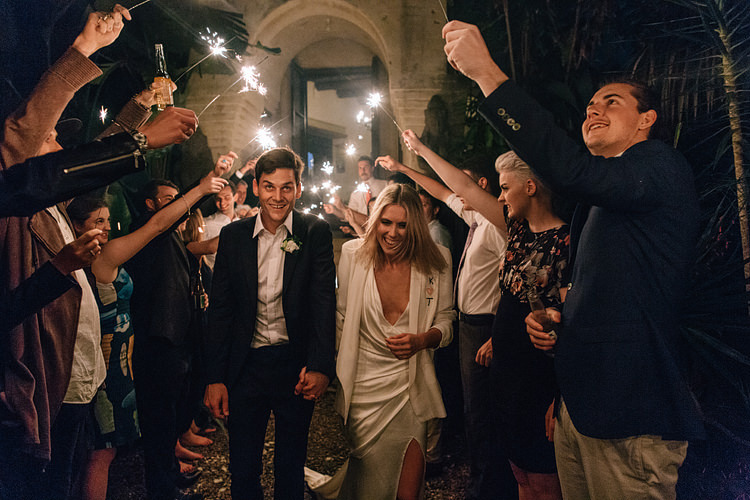 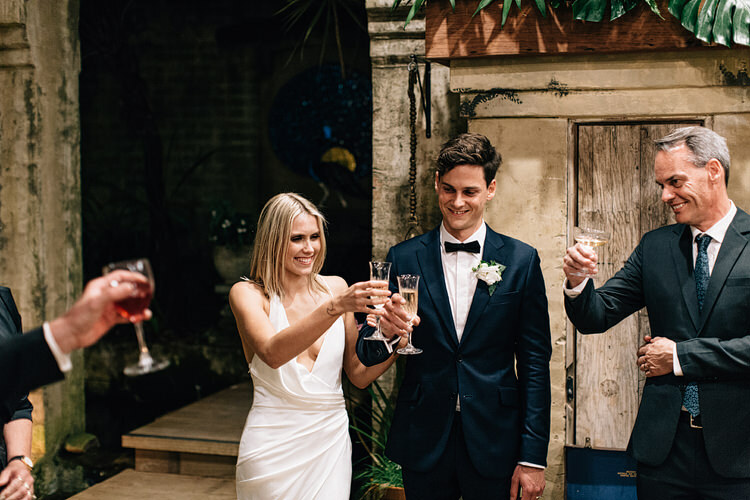 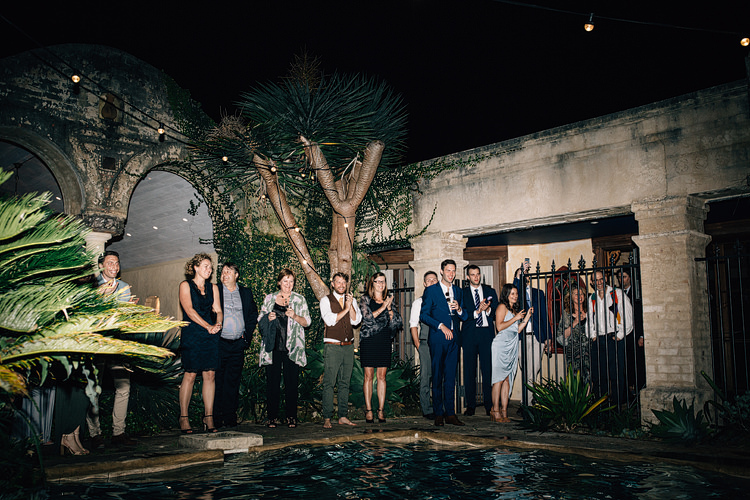 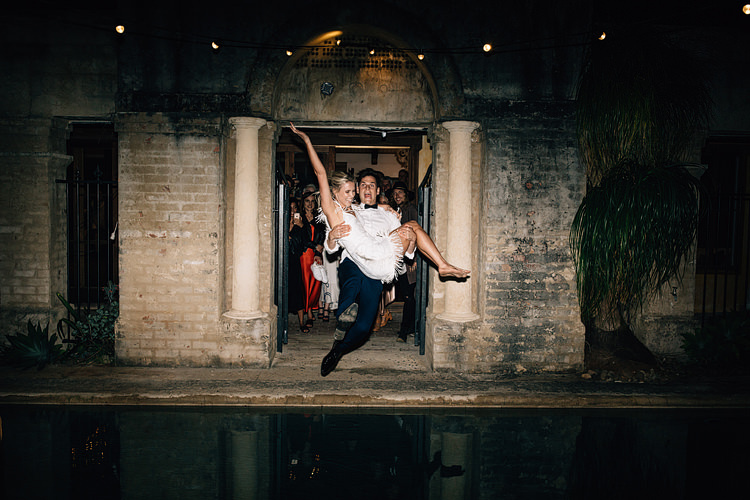 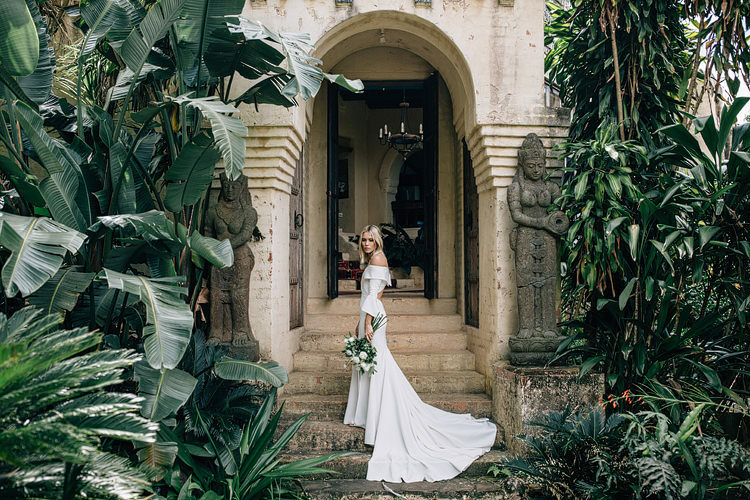 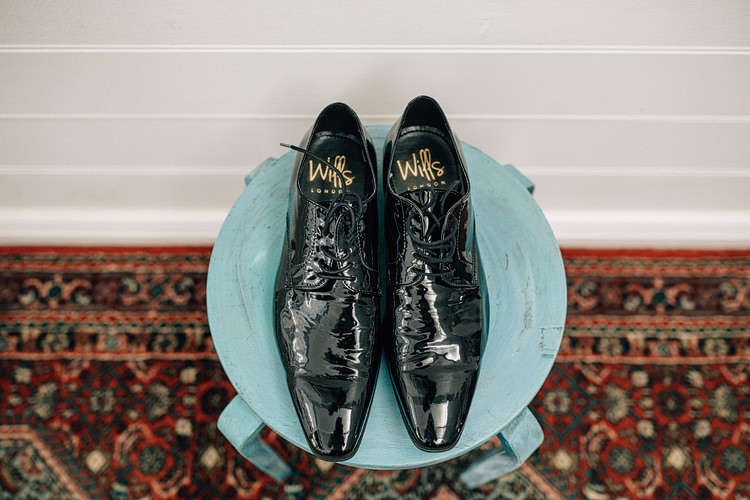 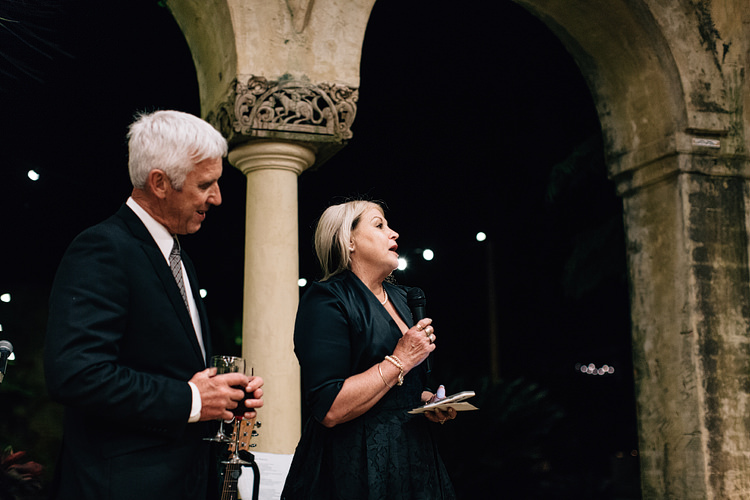 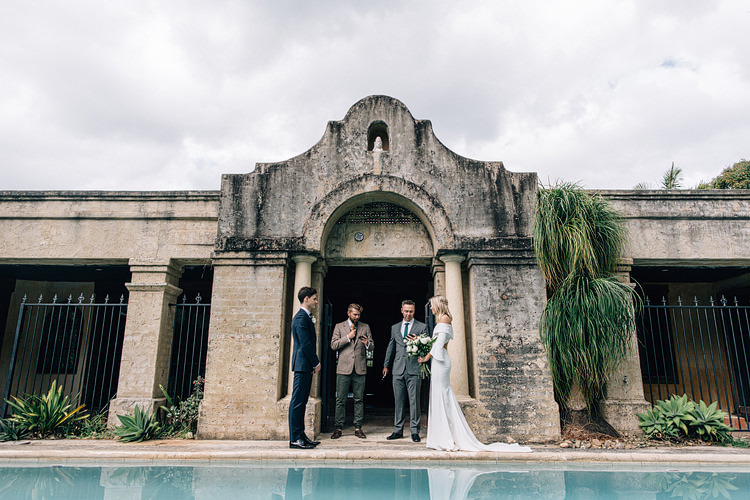 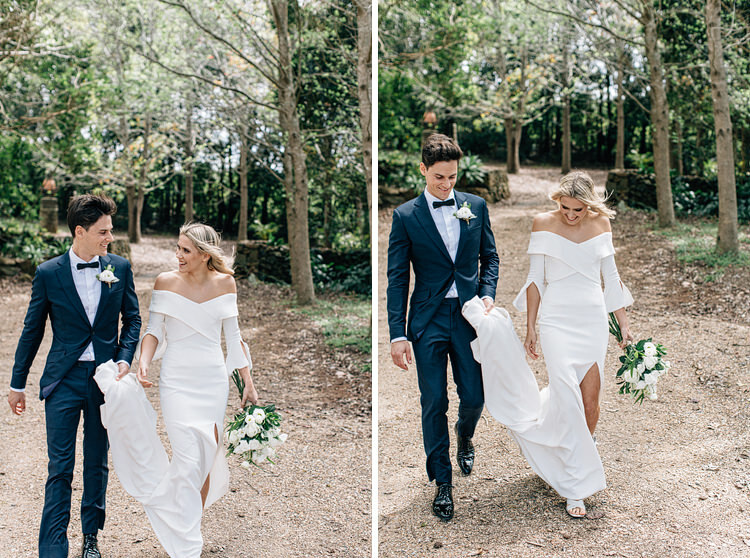 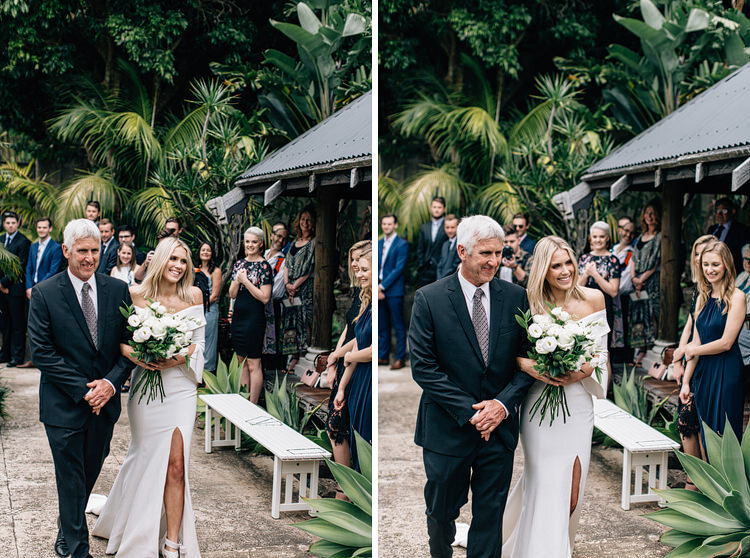 Karissa and Tom got married at the insane Villa Rustica in Byron Bay hinterland. 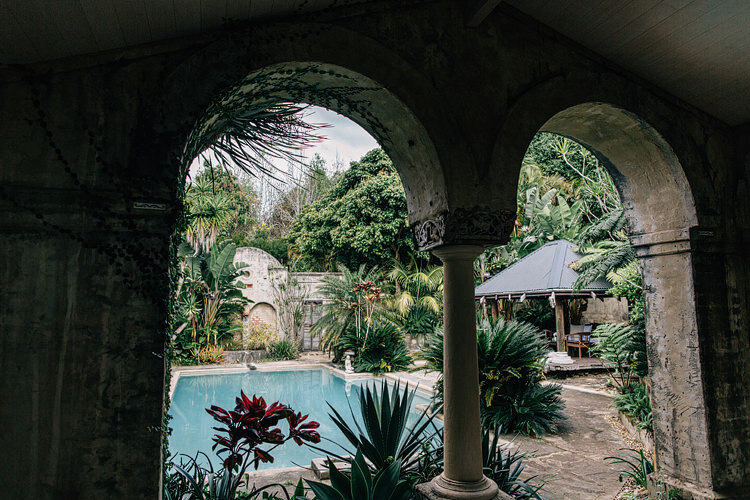 This place was an absolute dream. 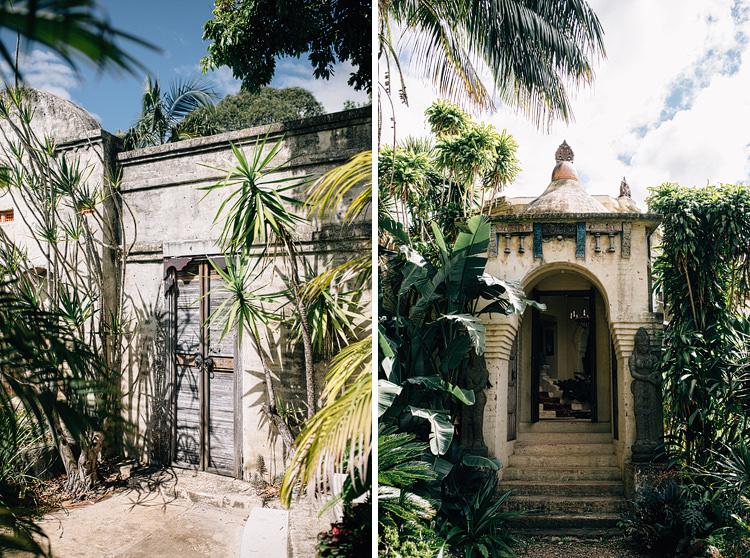 It is this beautiful balinese/morrocan inspired house with lush, overgrown gardens. 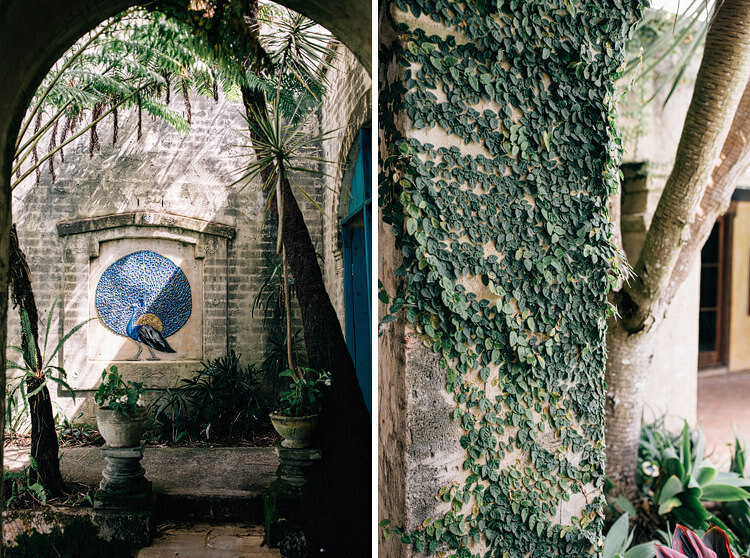 Each corner of the house is like a work of art. 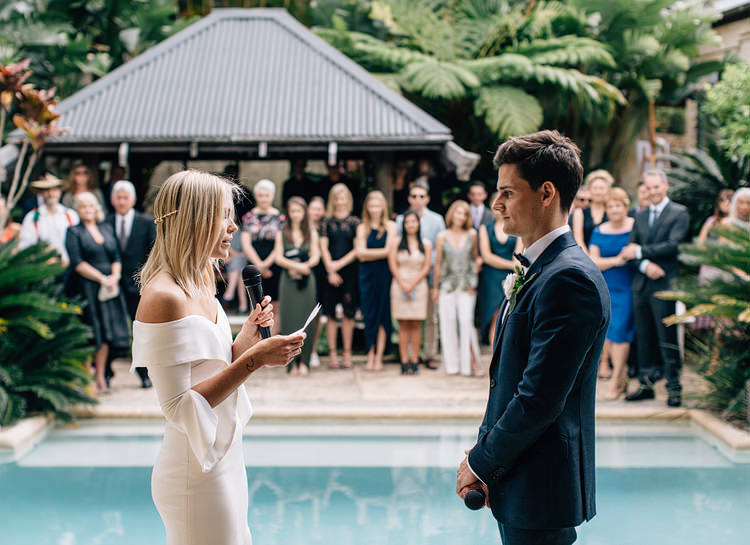 The ceremony by the pool, canapes on the front balcony overlooking the garden and then the reception was held in the breezeway area off the pool. 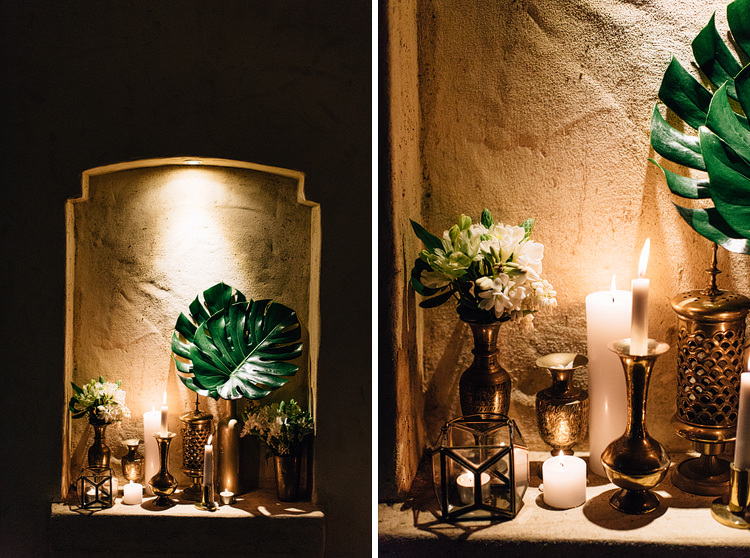 Their inspiration was to create an effortlessly romantic space. 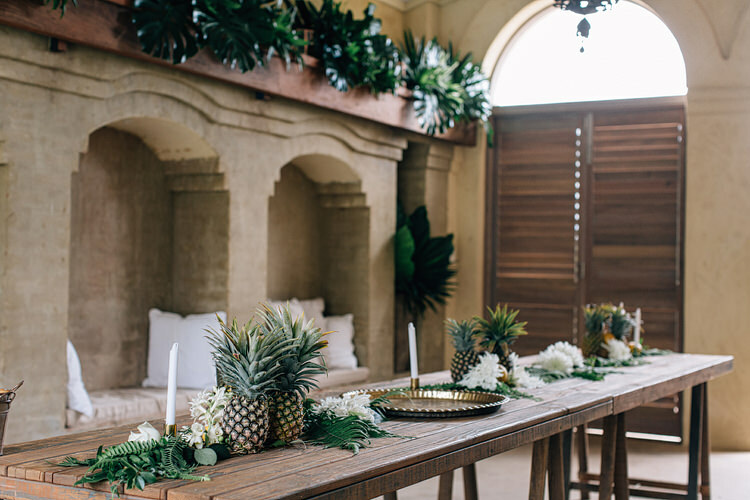 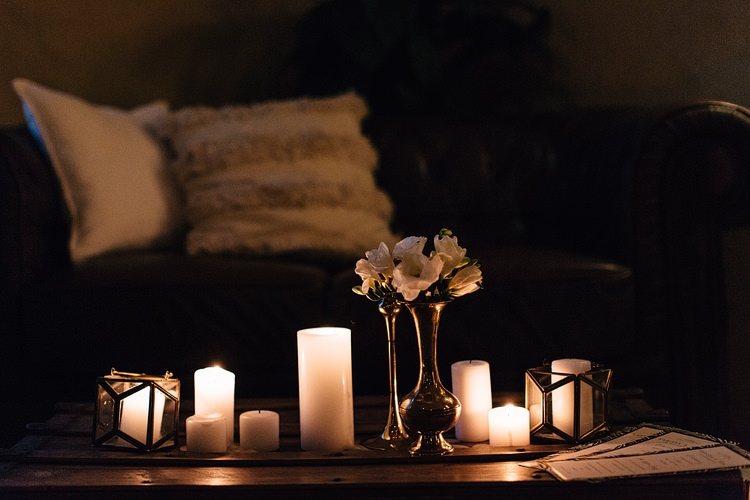 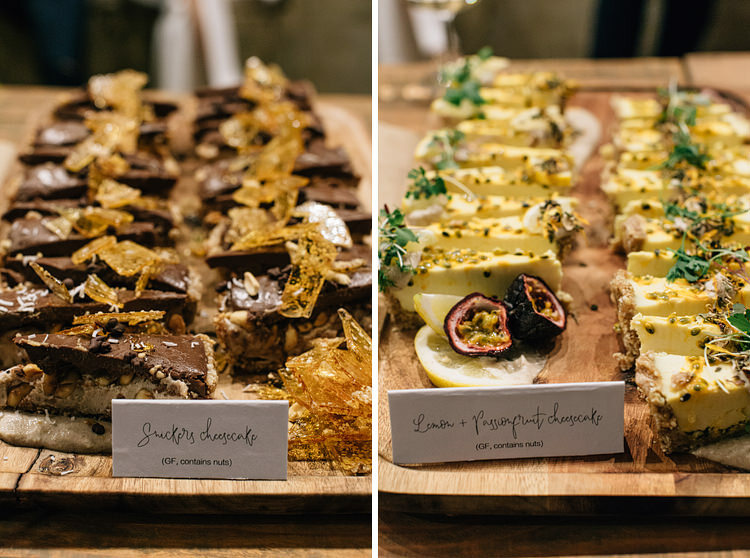 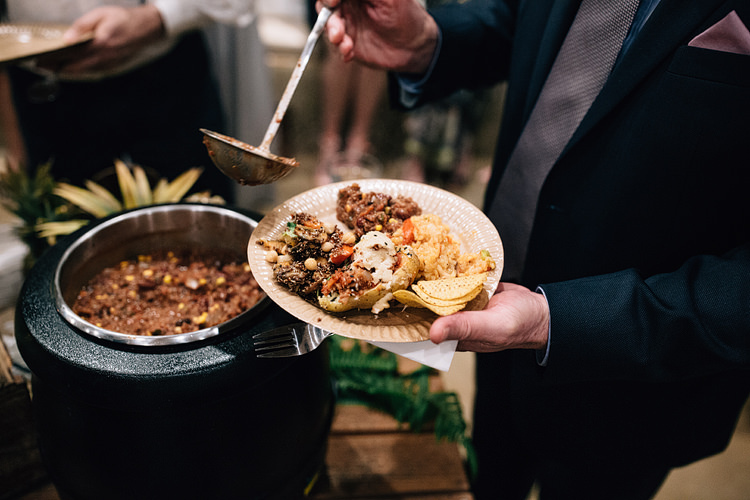 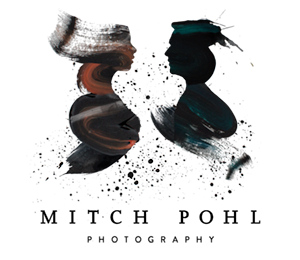 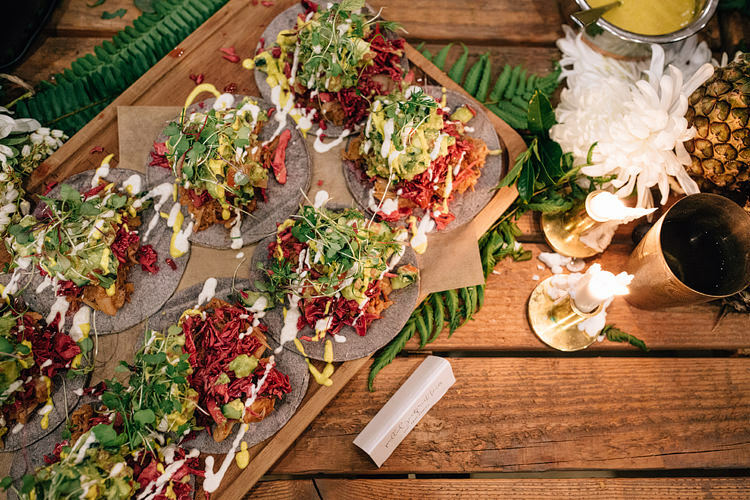 They wanted to create an atmosphere that was relaxed, but breathtaking and really encouraged their guests to mingle and move. 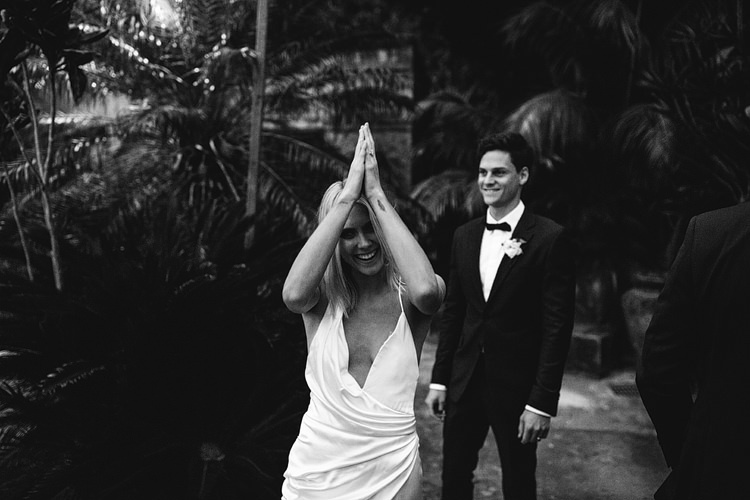 Both Tom and Karissa felt it was important to have that time alone and together on the morning of the wedding. 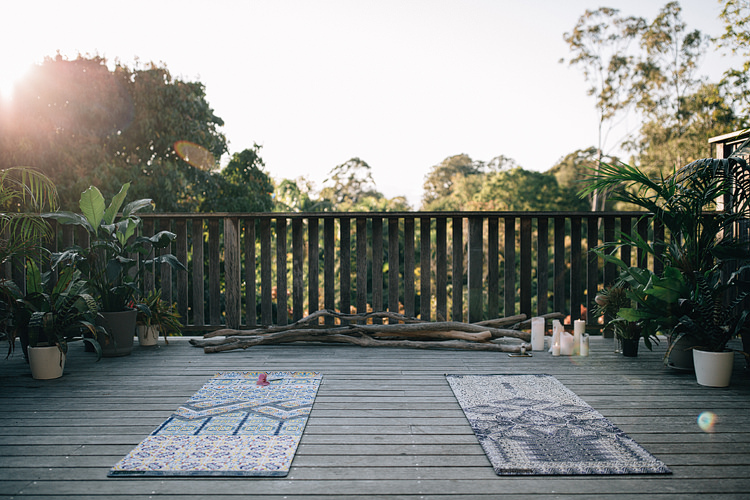 They woke up to watch the sunrise together, before going their separate ways. 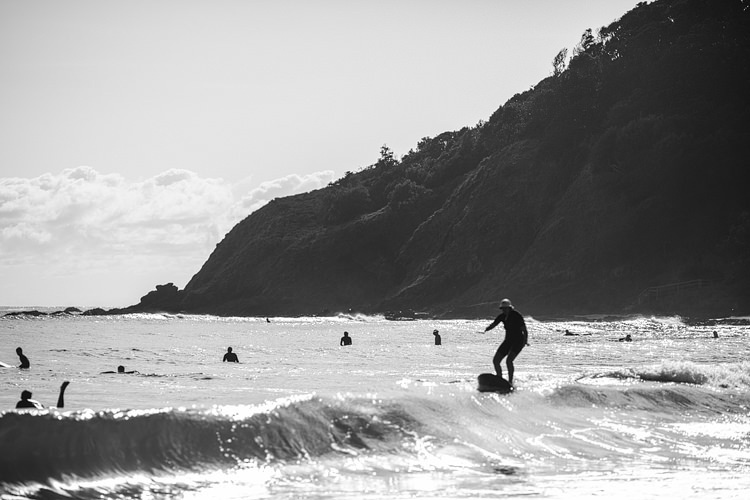 Karissa went off to do yoga with her dear friend Sally, and Tom went surfing. 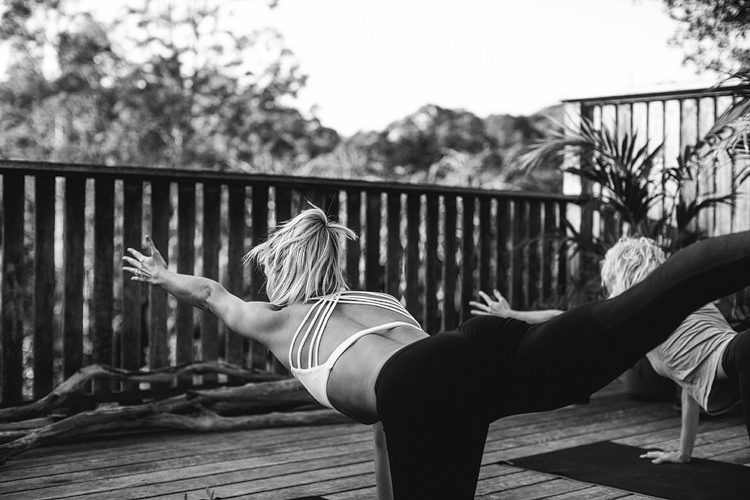 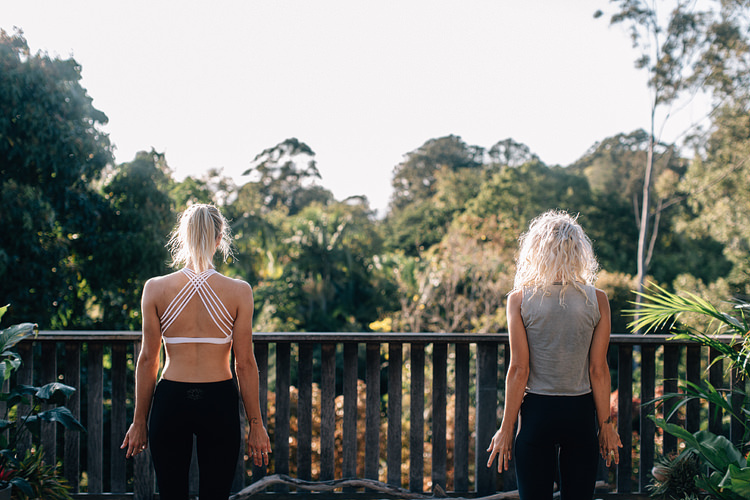 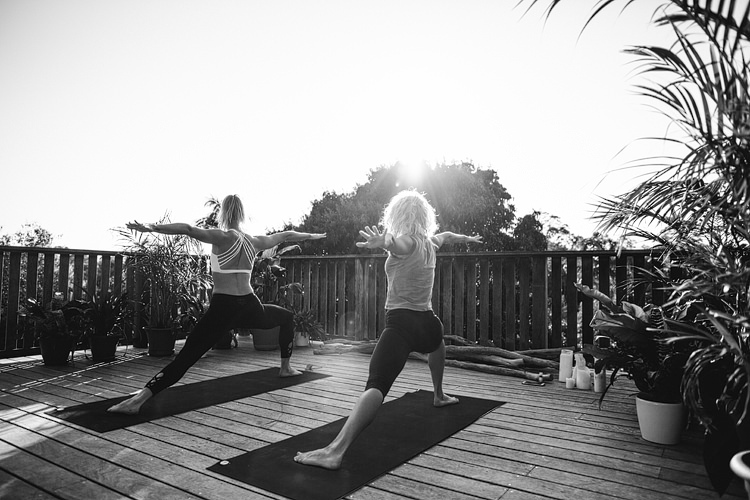 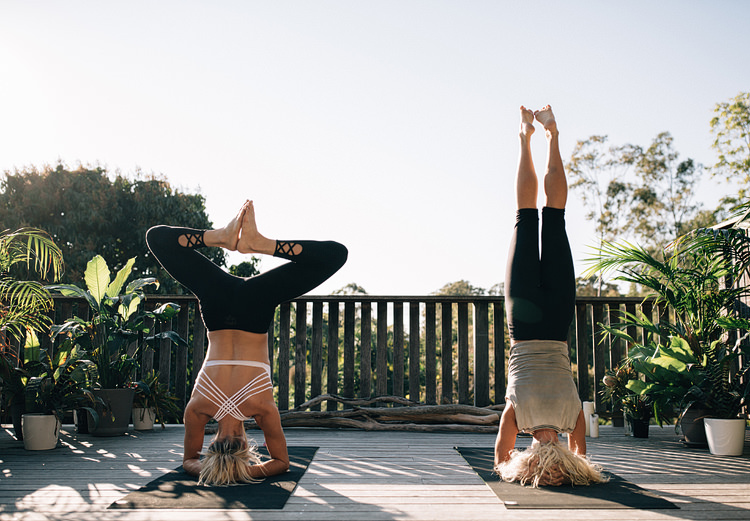 Karissa says that Yoga was the best way she could have started the day, something to really ground her so that she could enjoy and be present in every moment of the day. 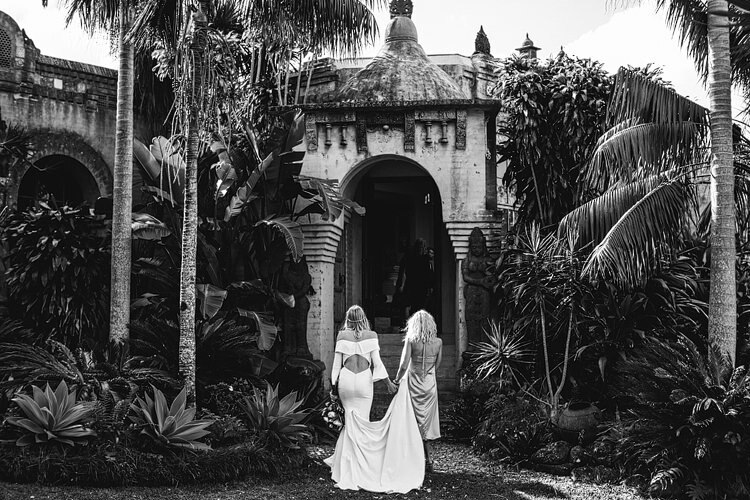 They met up for an ocean dip together at Wategos Beach, which was followed by a quick smoothie stop before heading to the venue to get ready. 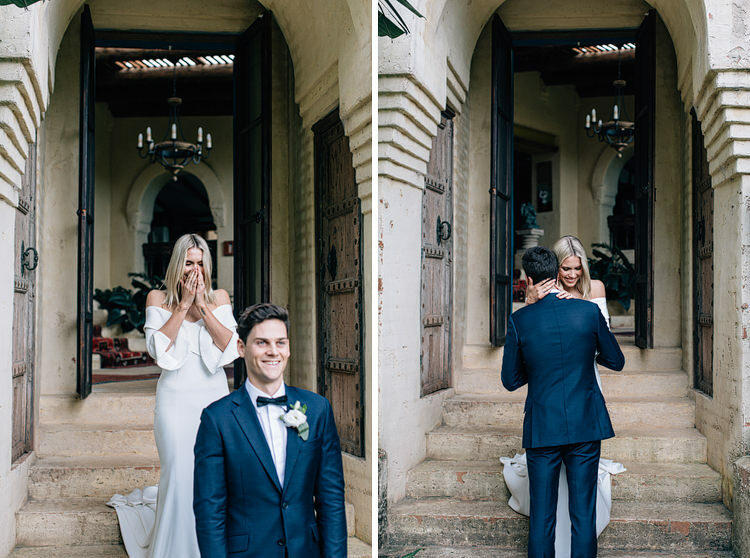 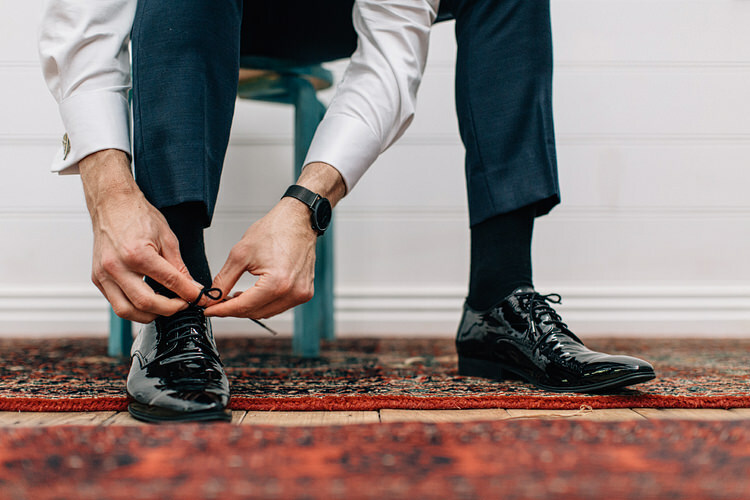 They also chose to do a first look before the ceremony which was so special. 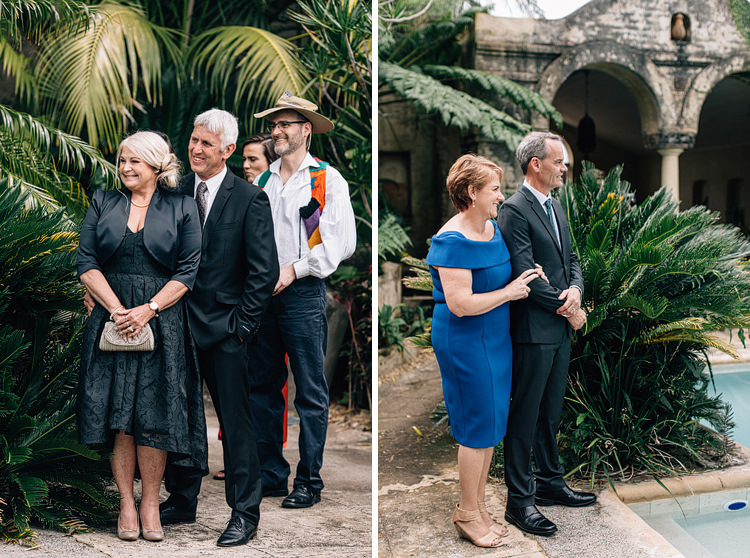 It also meant we could shoot most of our portraits before the ceremony, which allowed Karissa and Tom to spend more time with their guests. 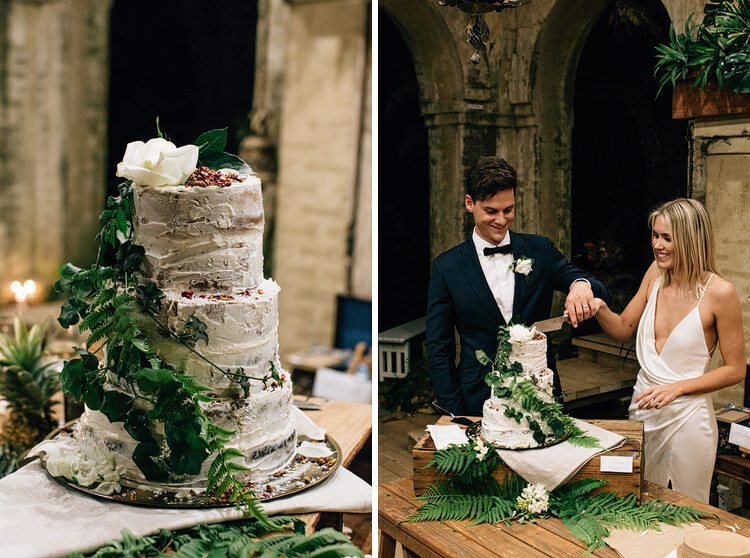 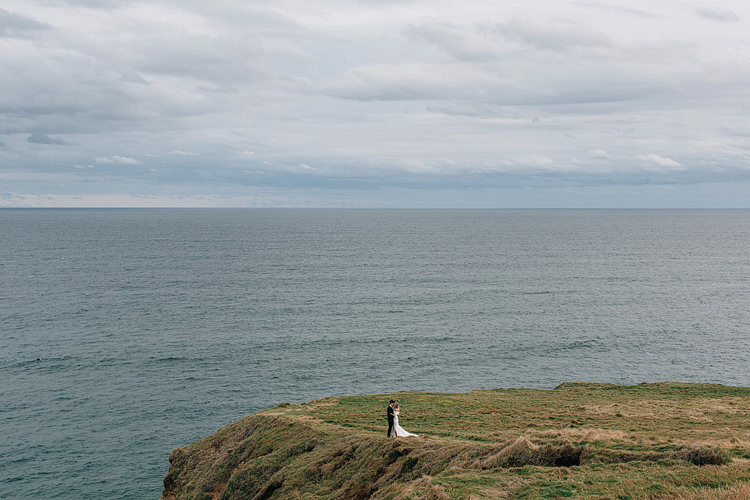 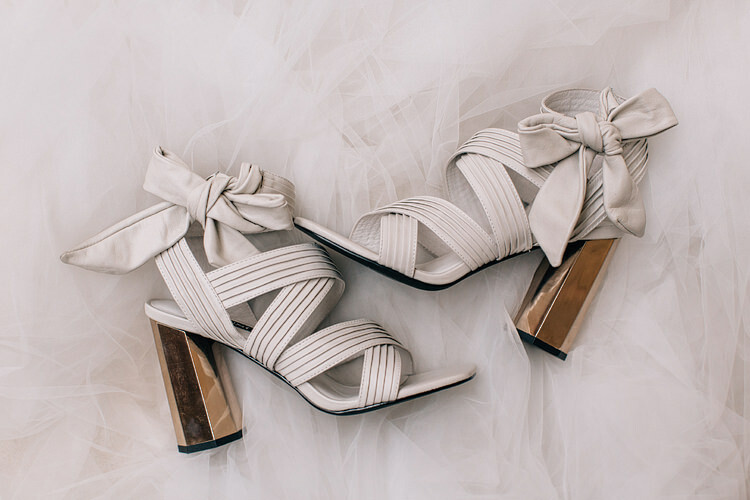 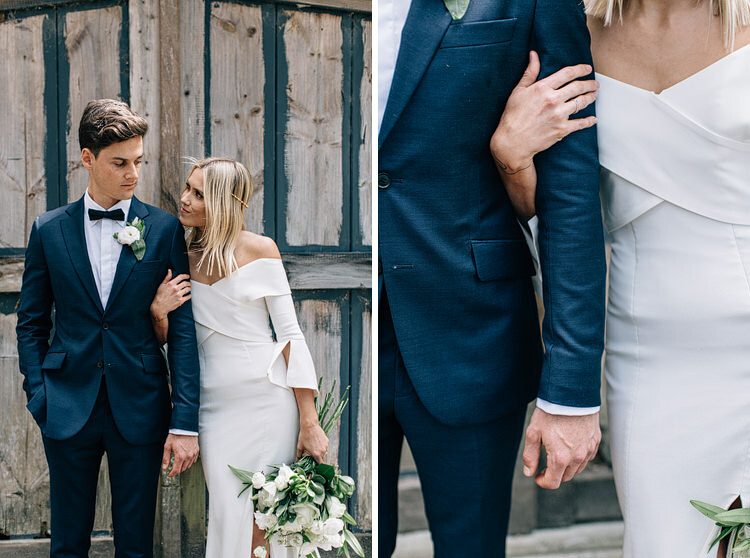 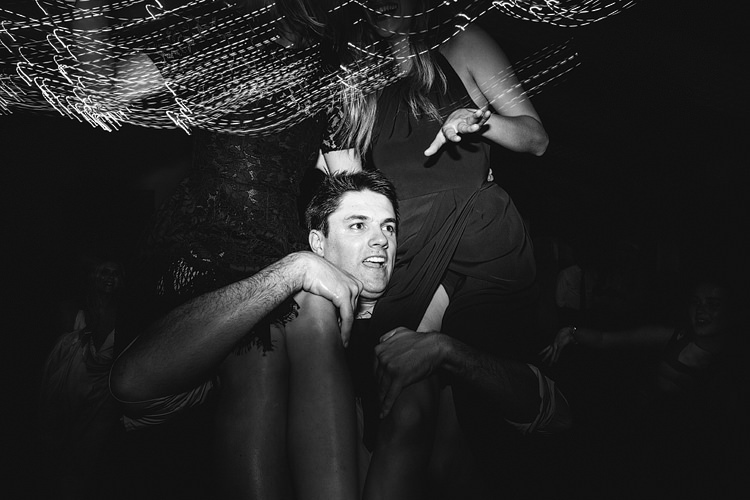 Absolutely love everything about this wedding. 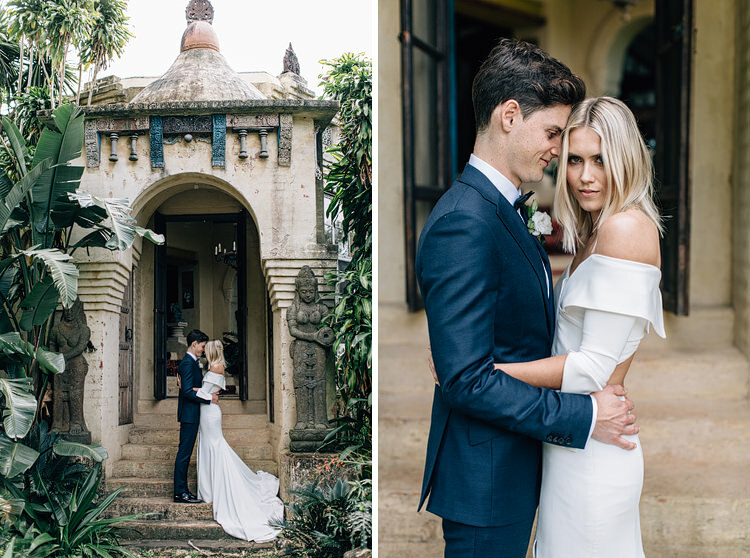 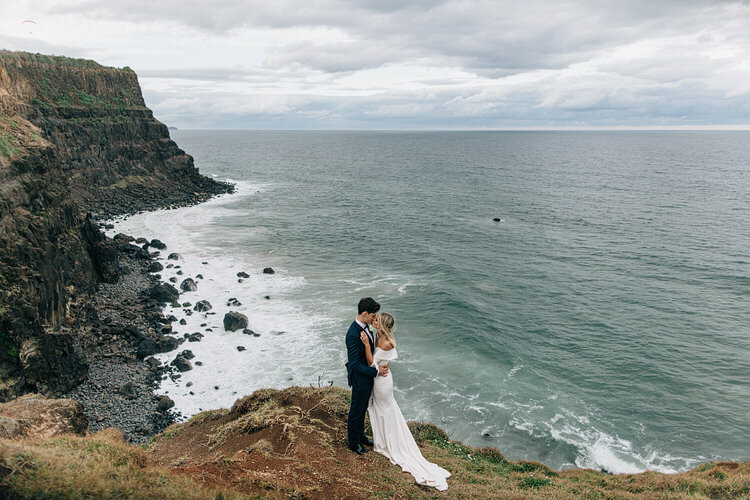 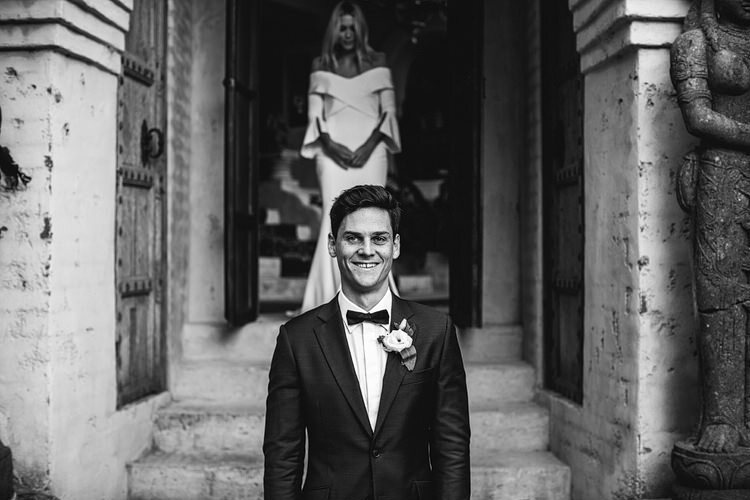 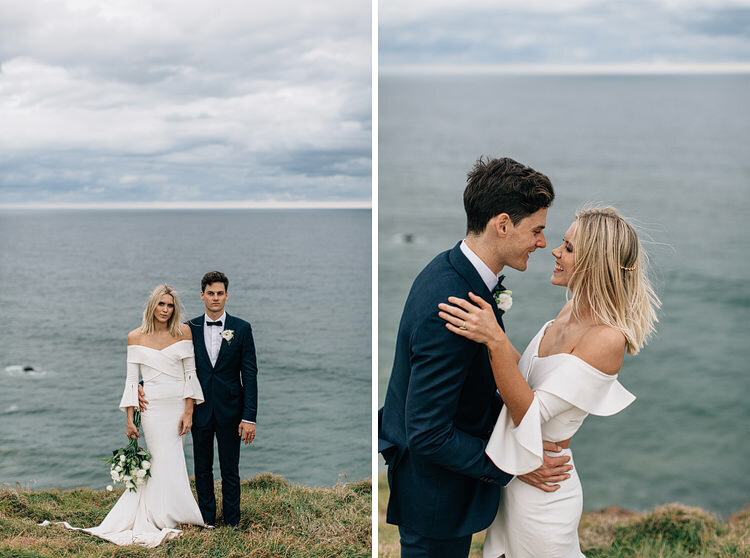 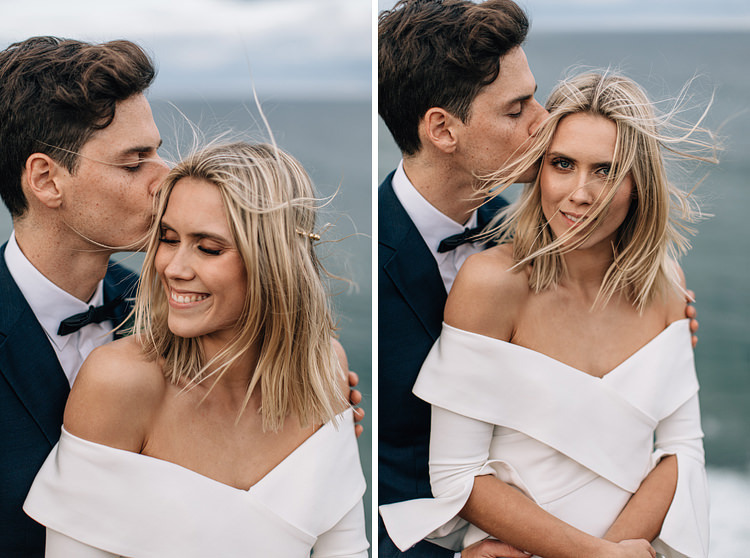 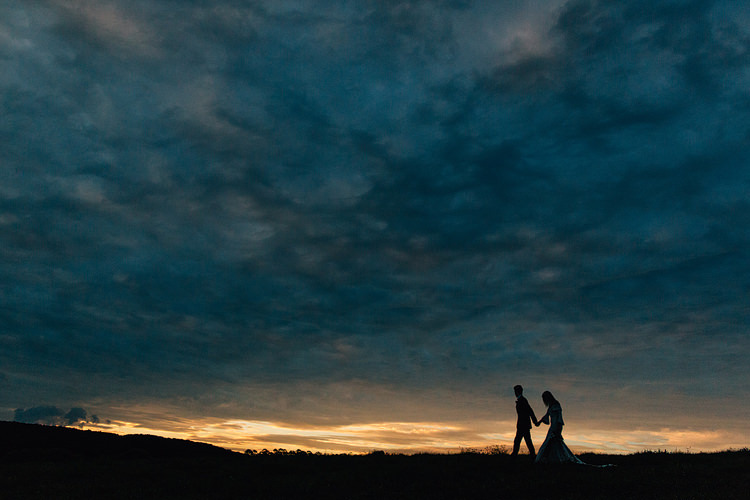 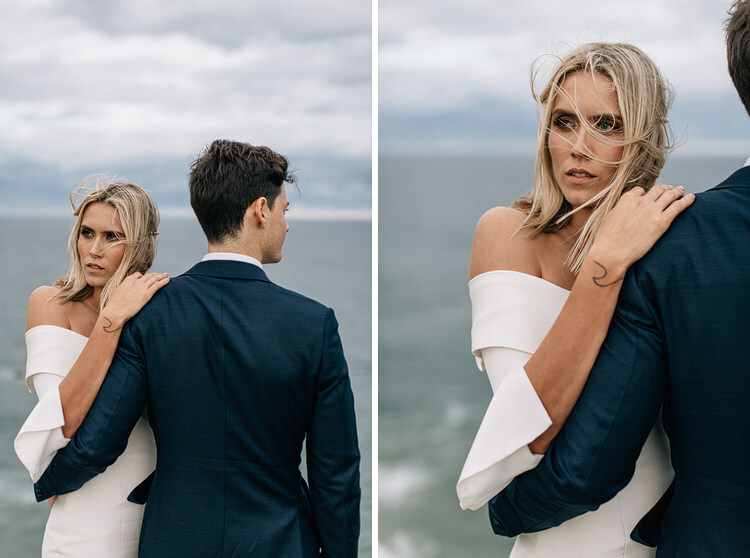 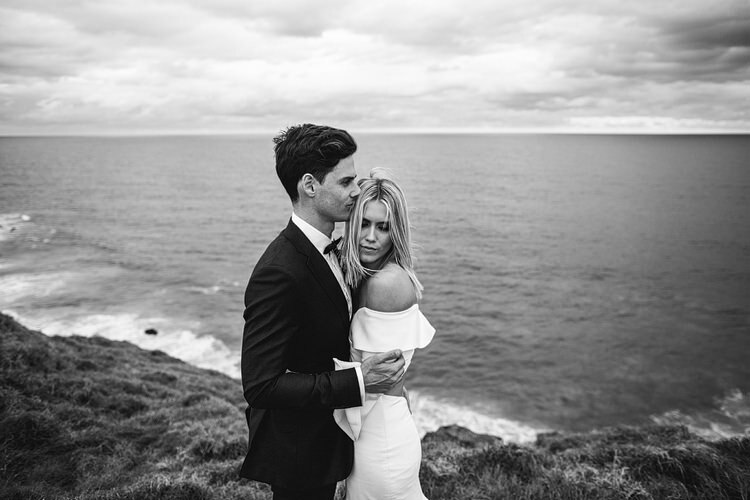 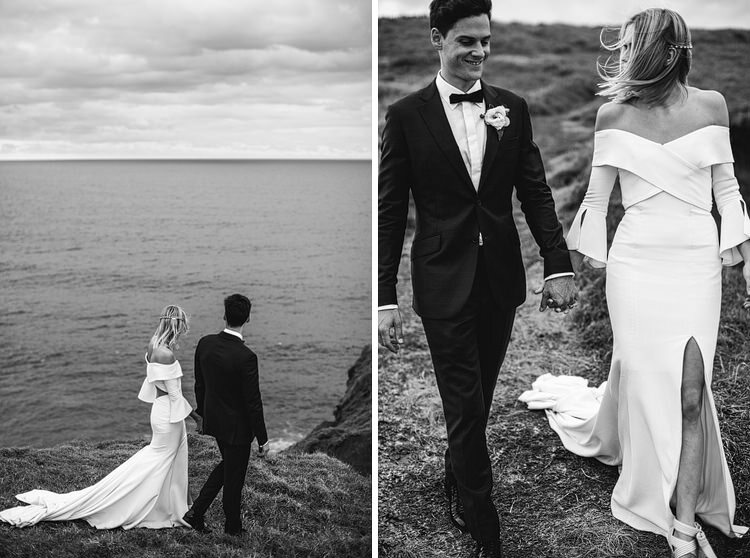 The vibe, the location, the couple – LOVE!